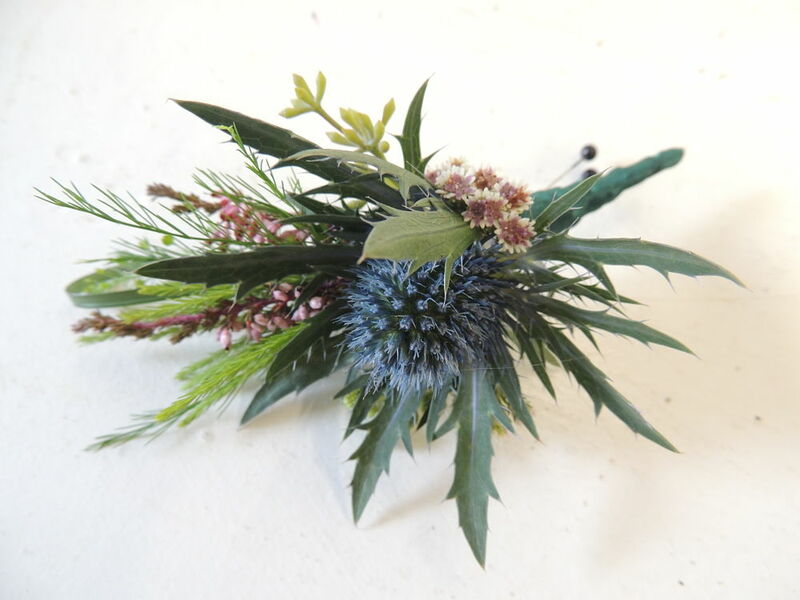 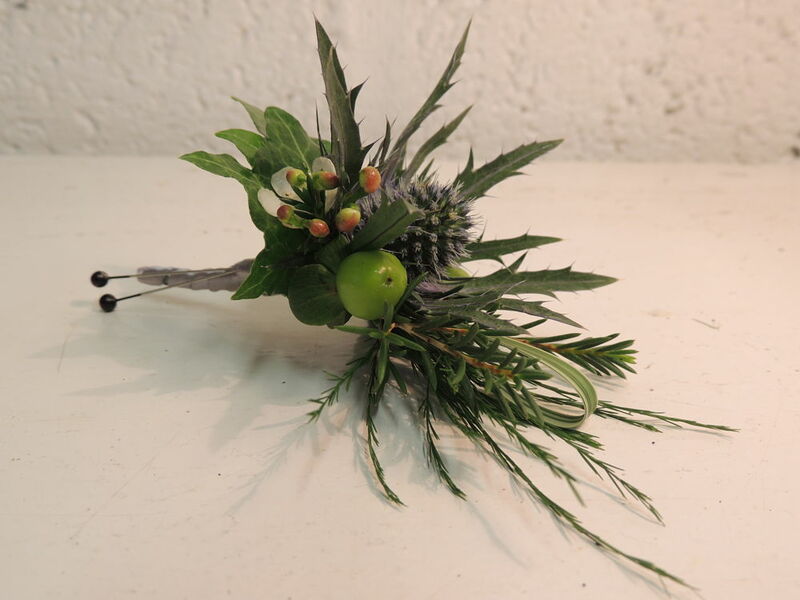 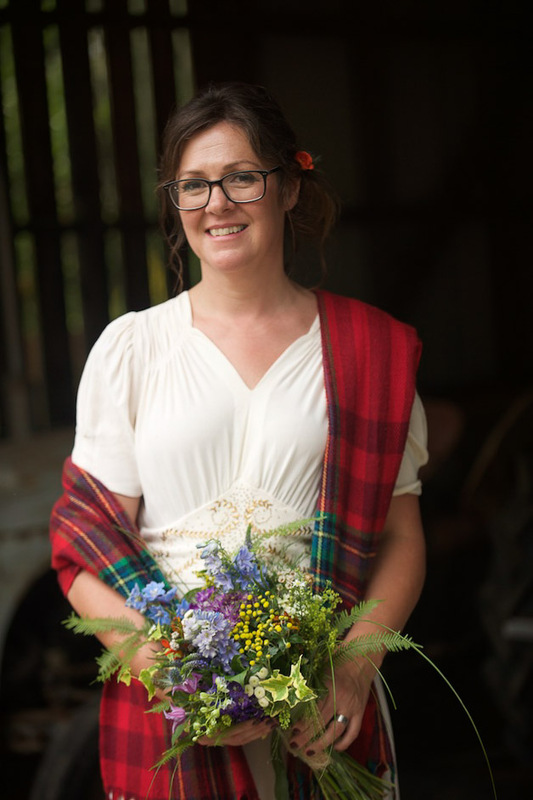 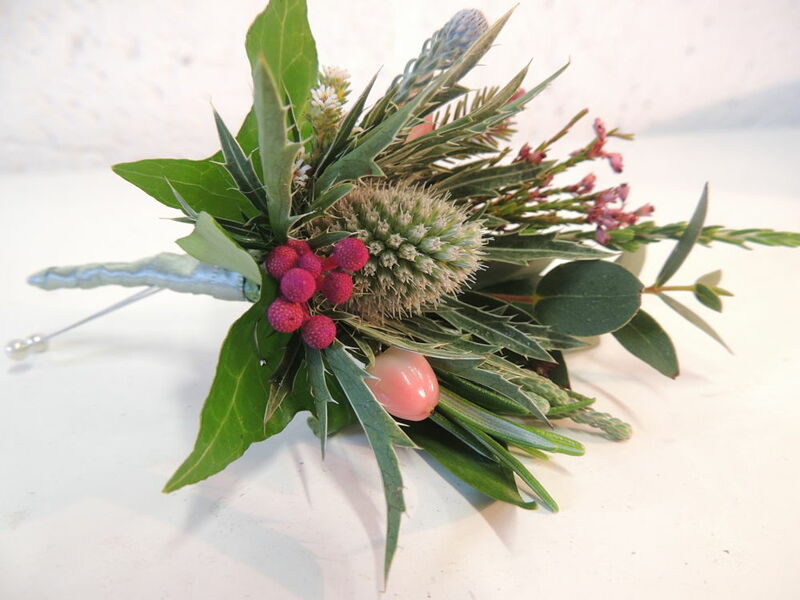 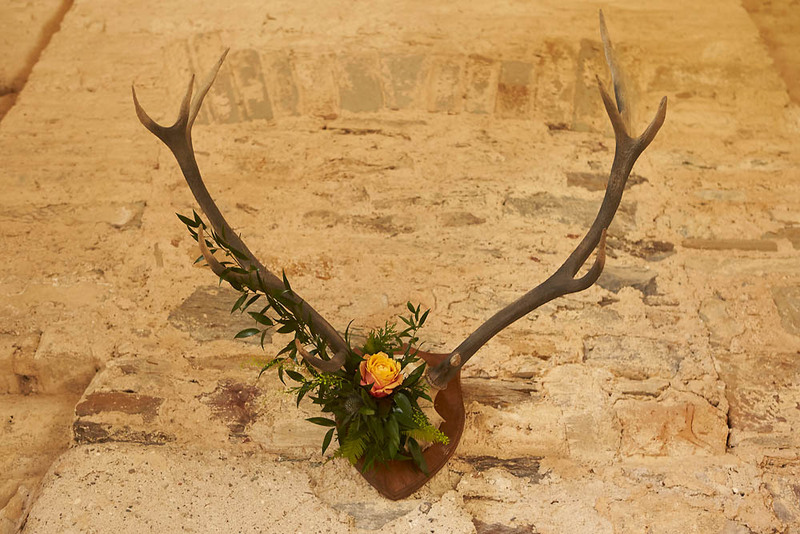 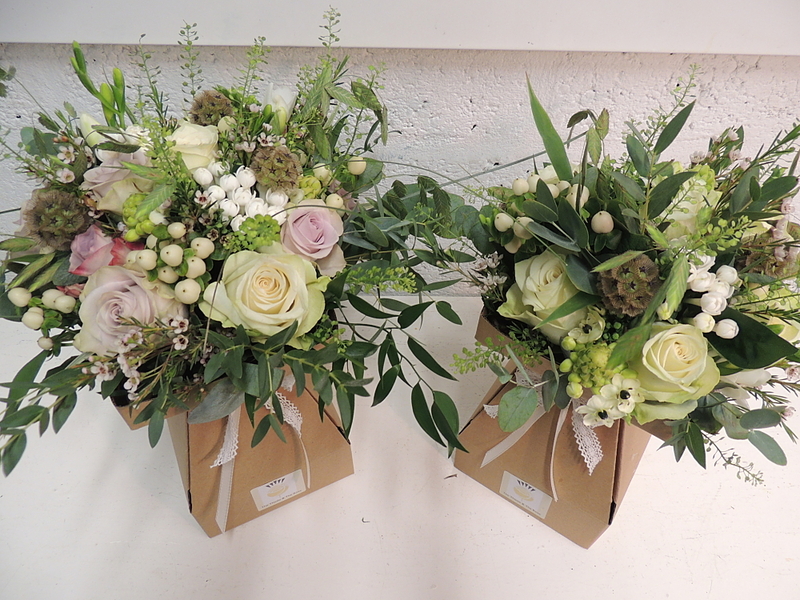 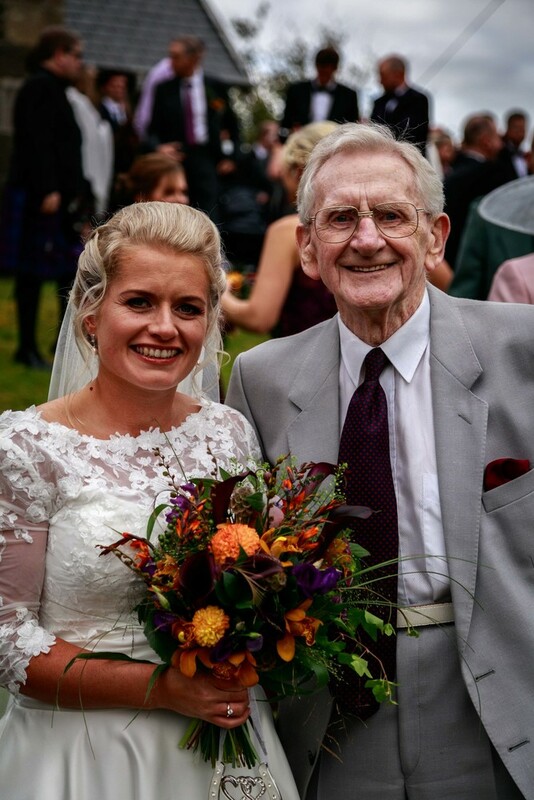 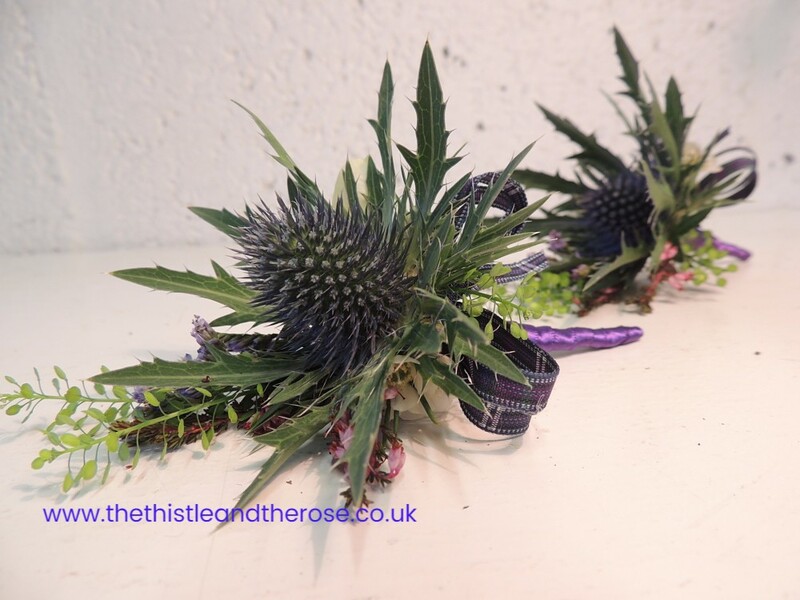 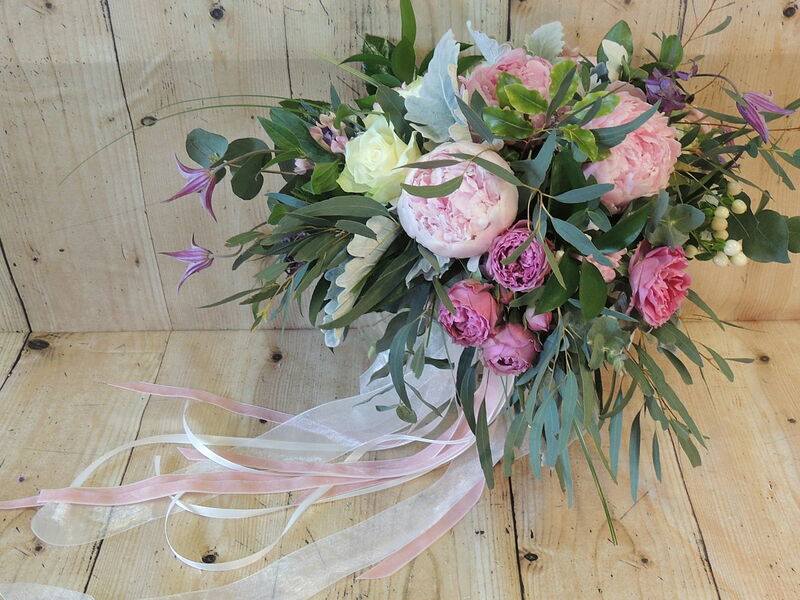 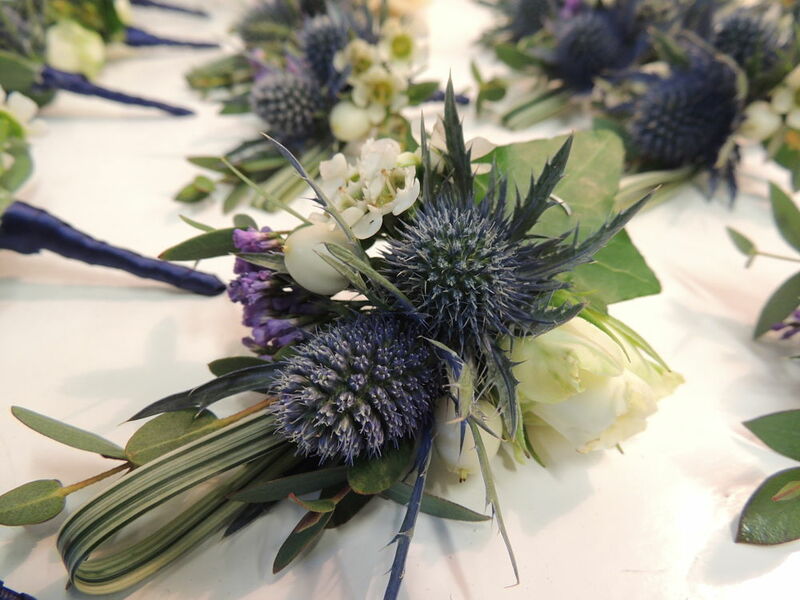 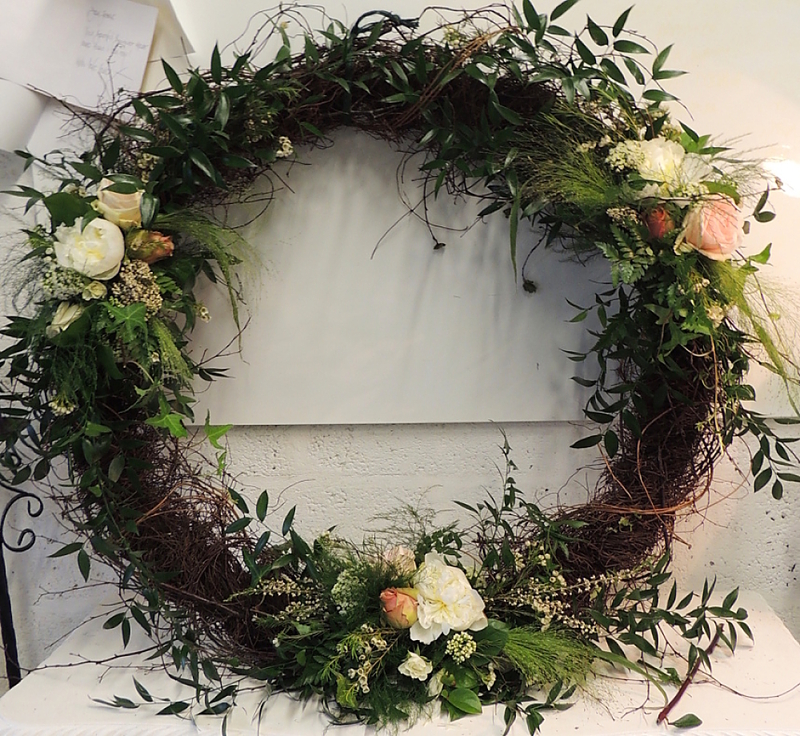 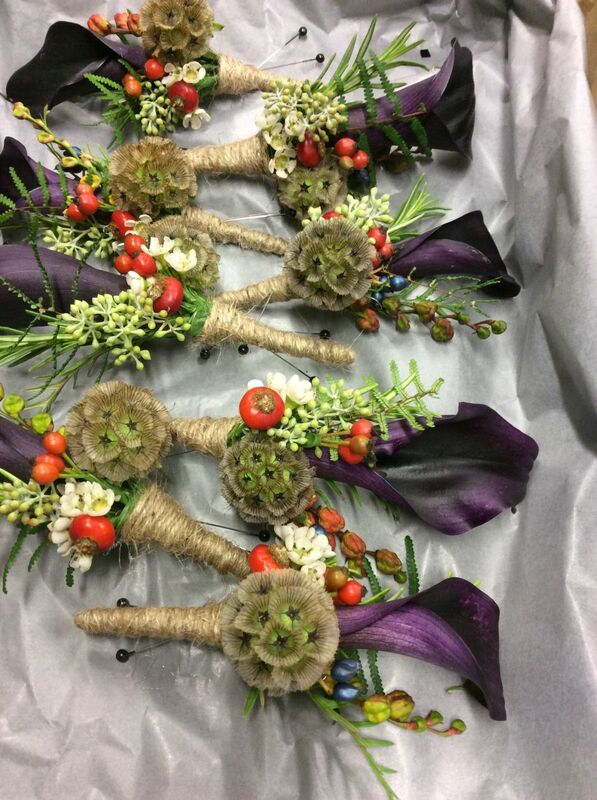 Wedding Flower design is our speciality here at The Thistle & The Rose Florist. 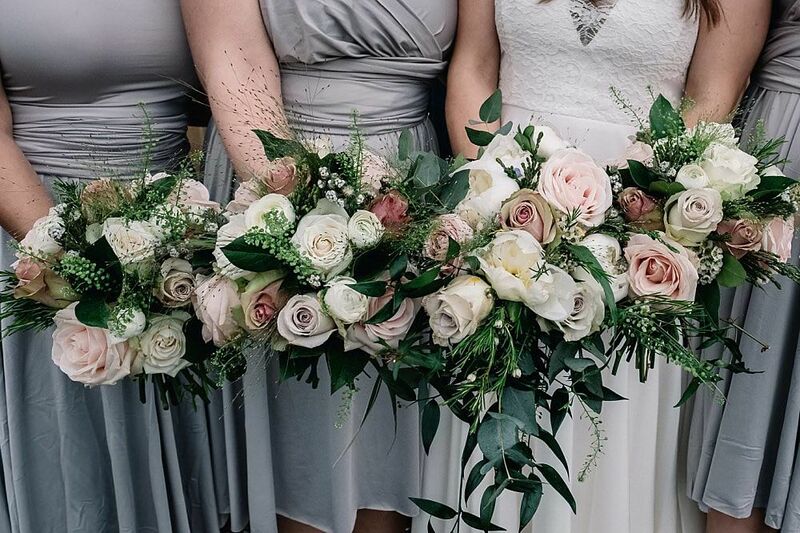 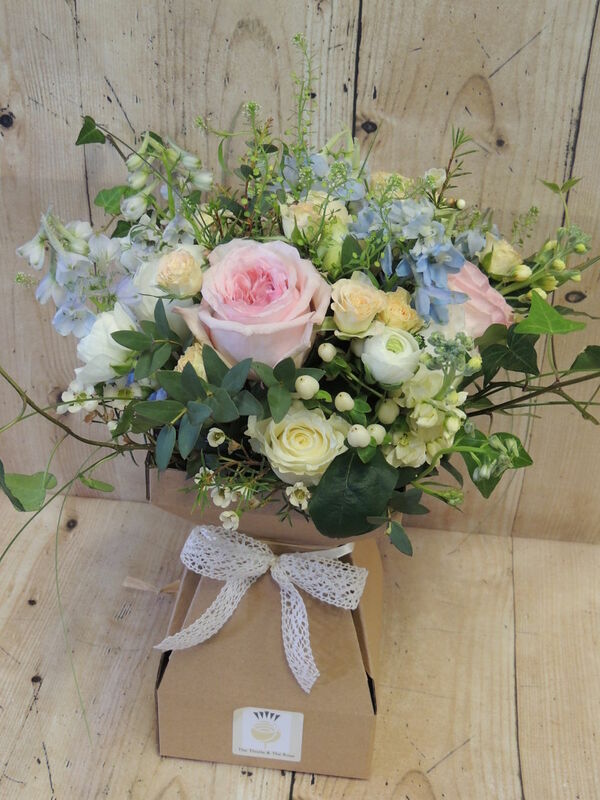 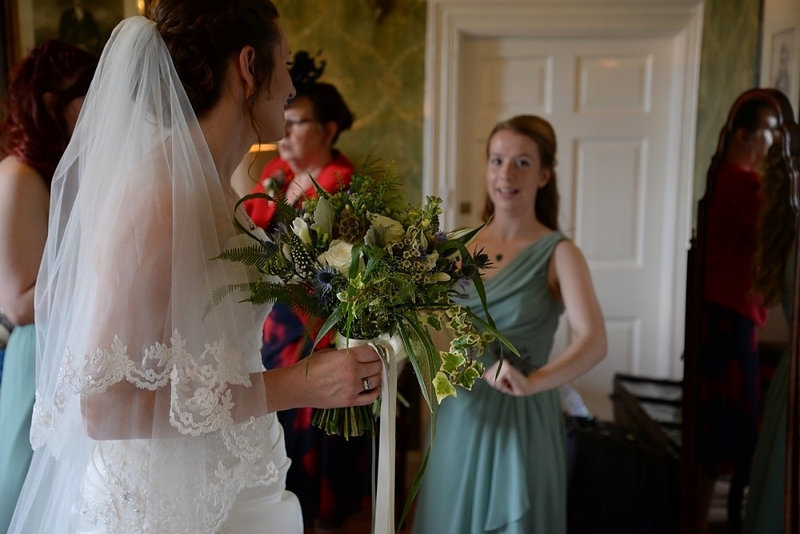 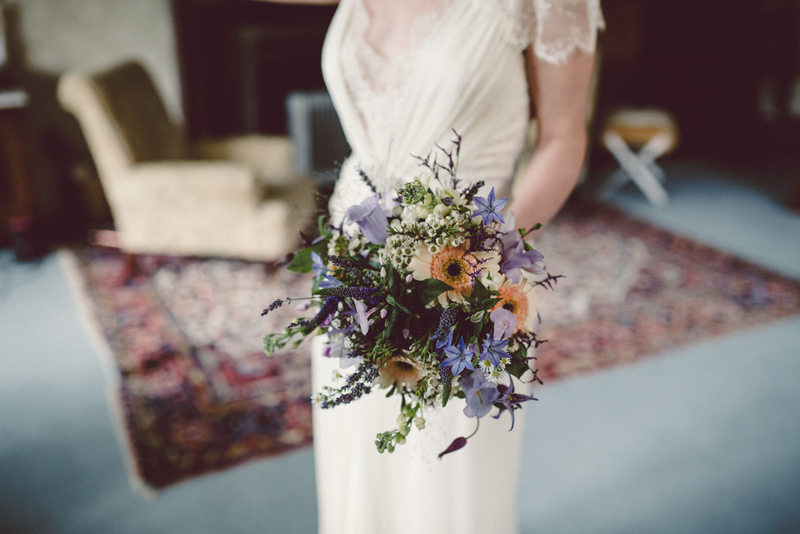 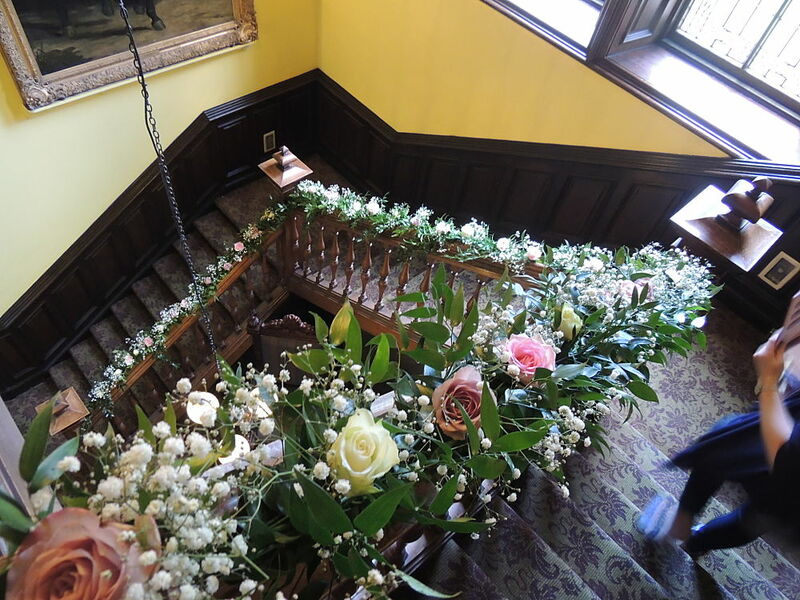 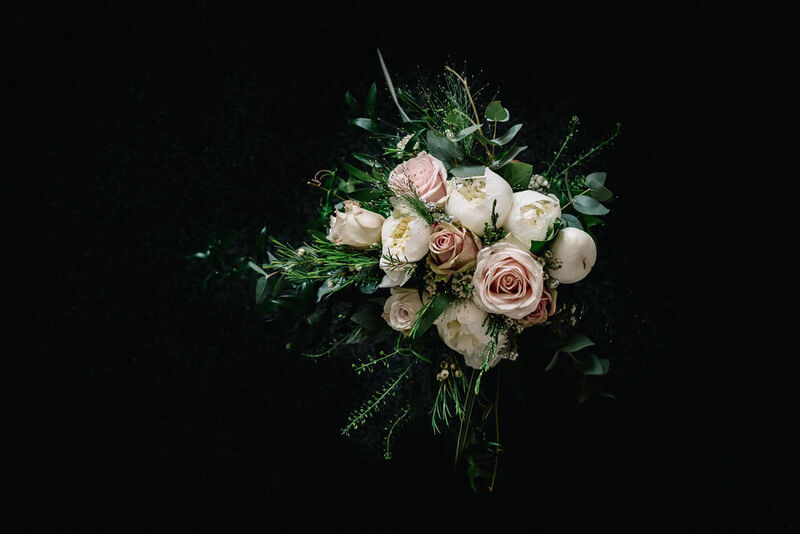 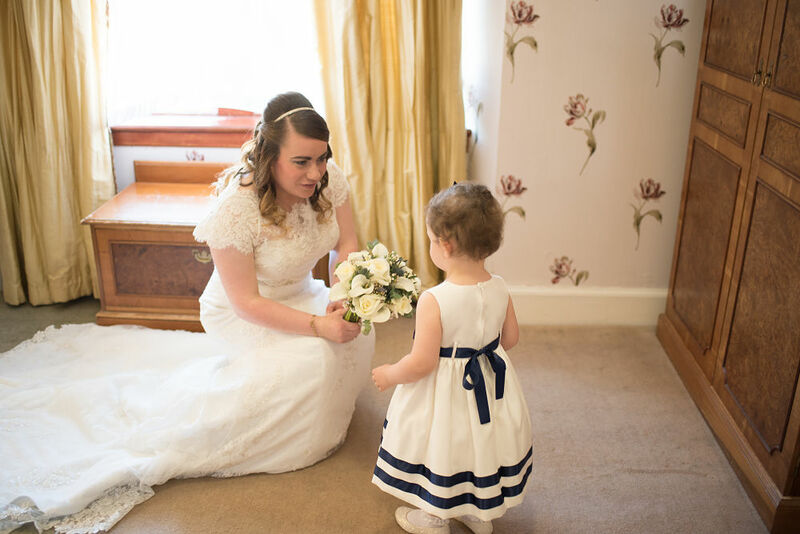 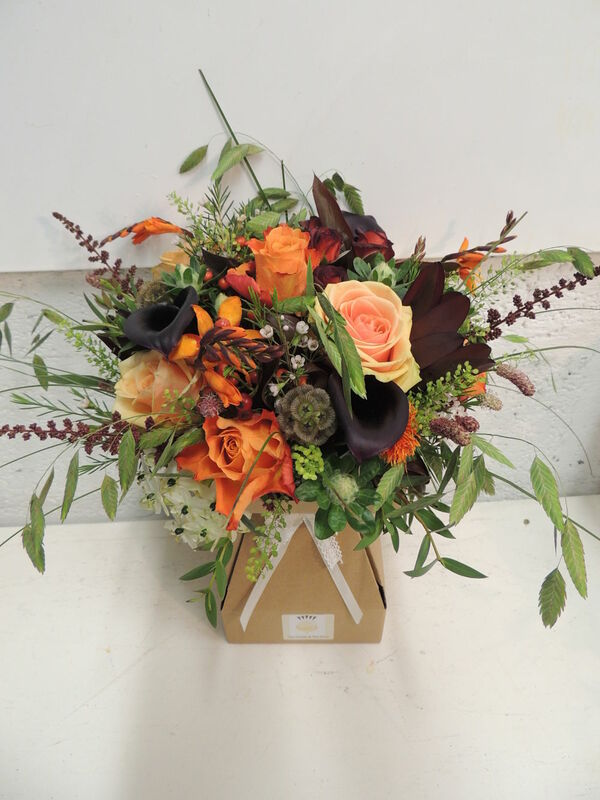 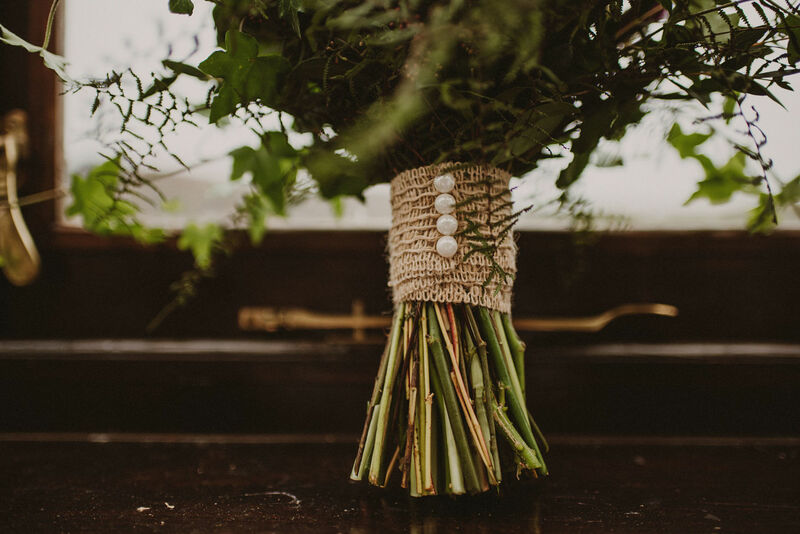 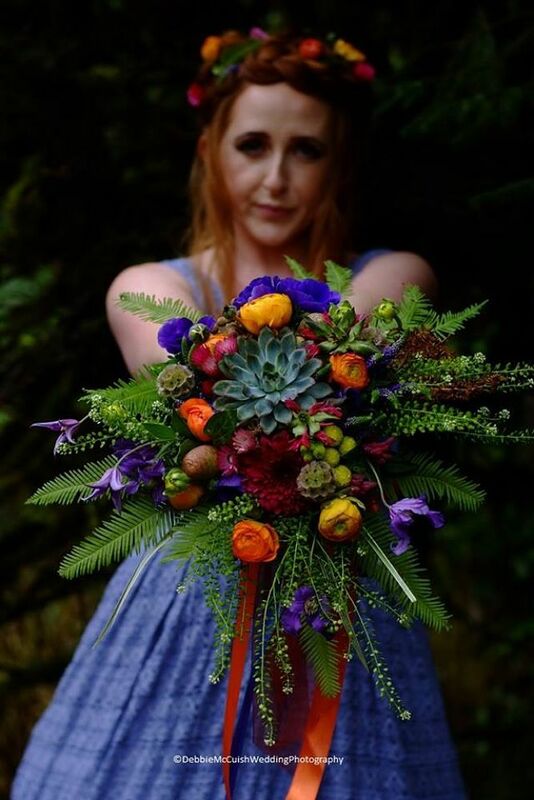 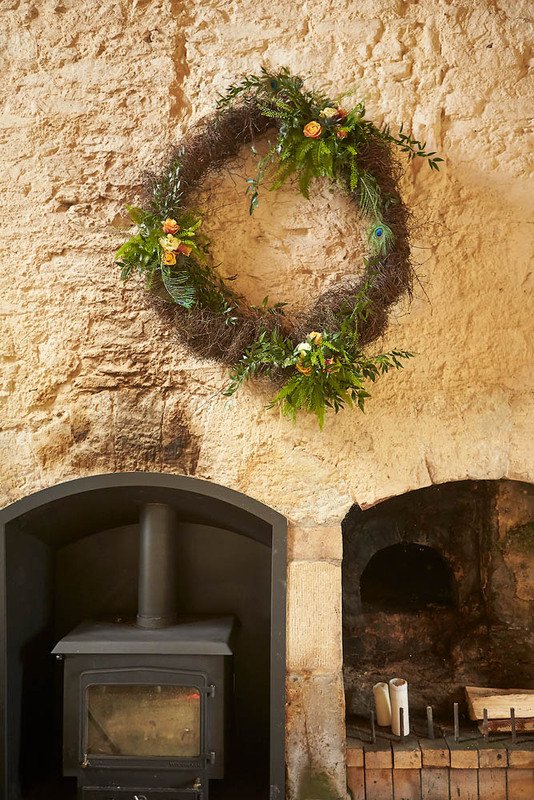 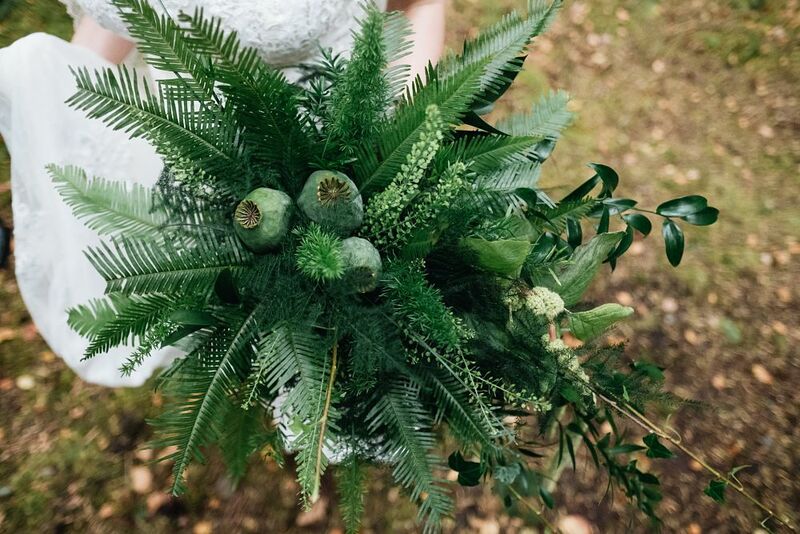 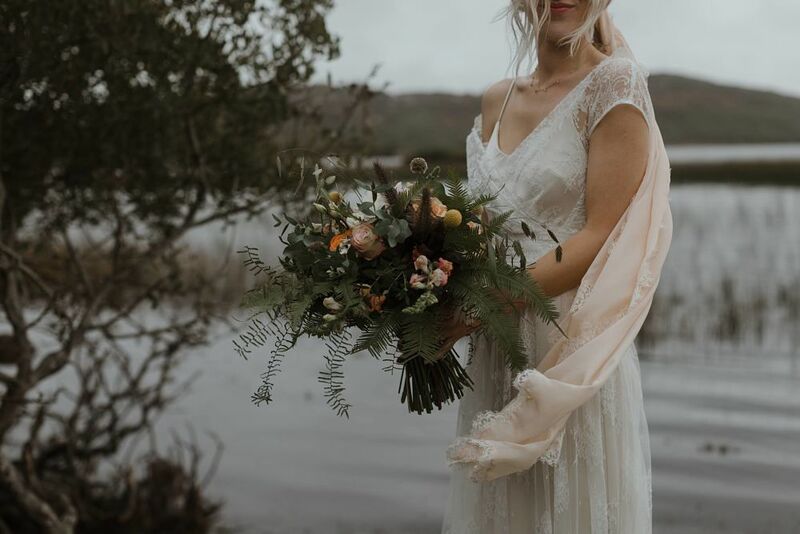 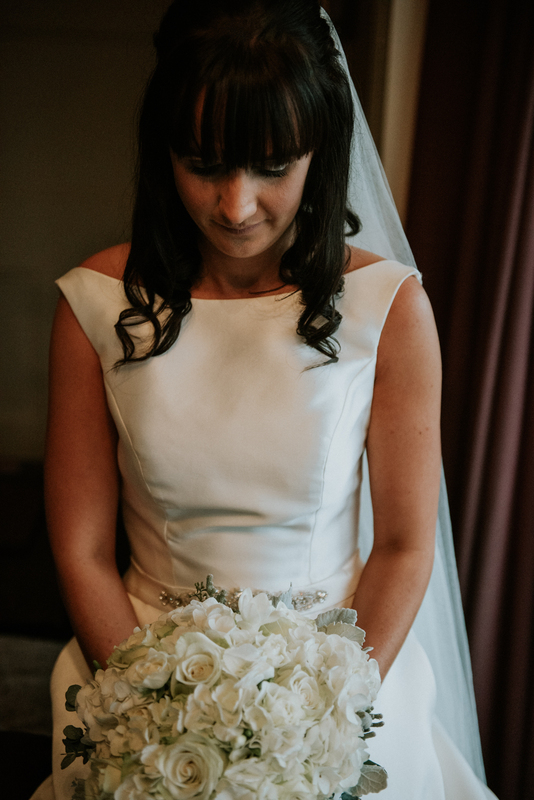 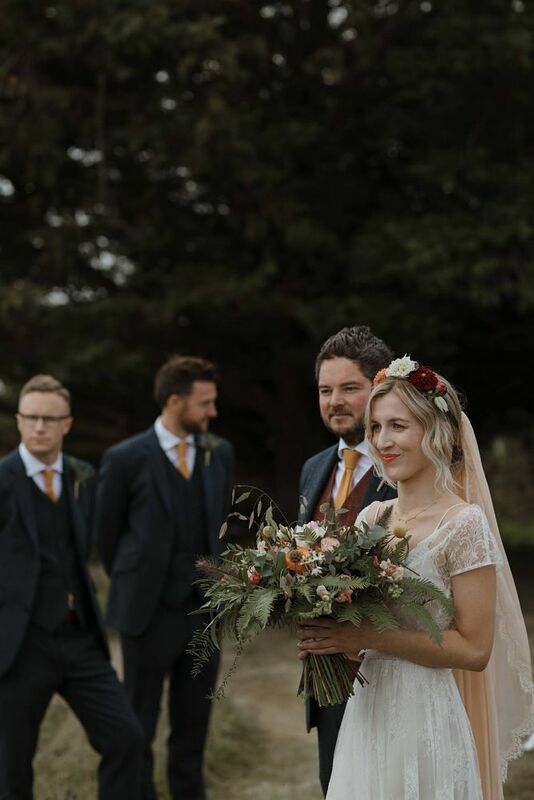 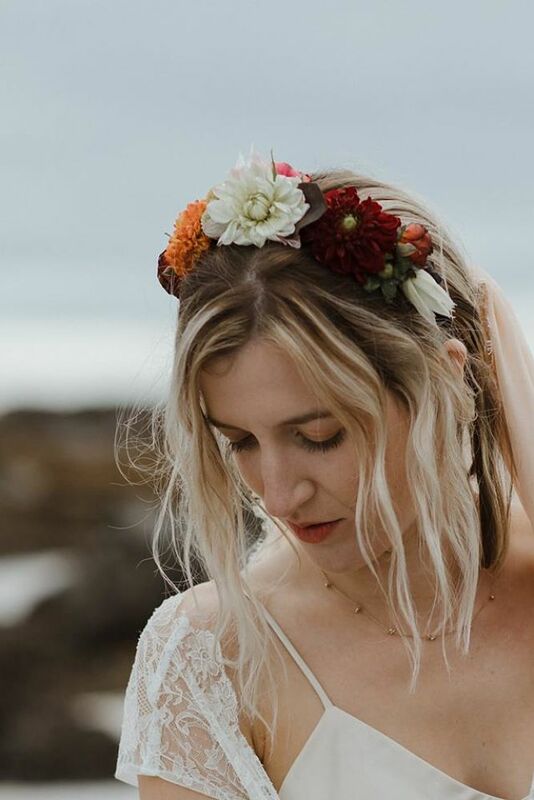 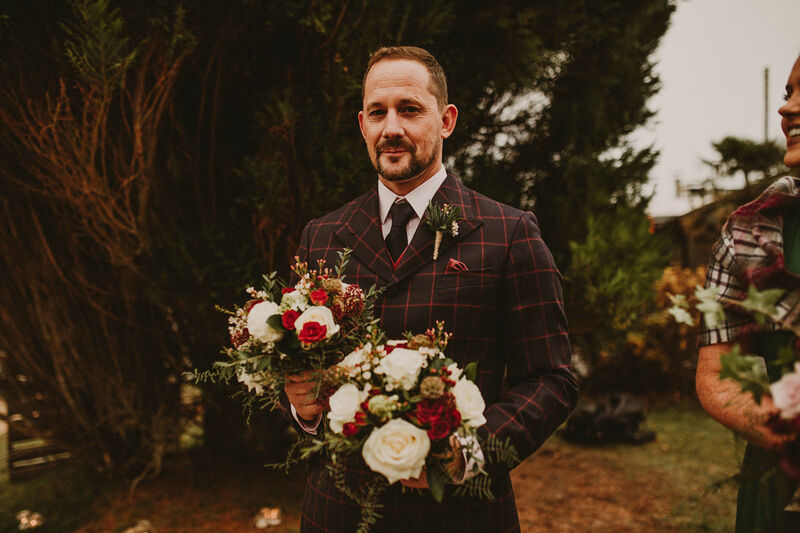 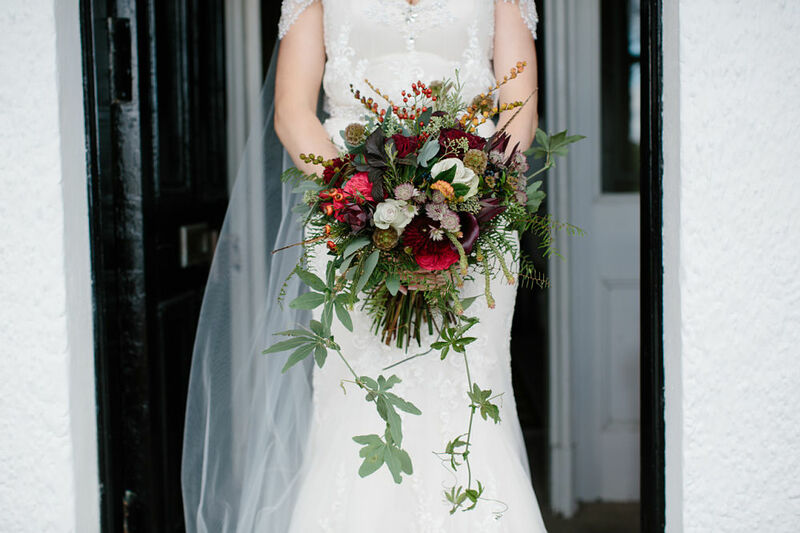 We just absolutely LOVE Weddings and specialise in creating special and memorably beautiful wedding flowers, designed to perfectly suit you and your day. From stunning bouquets, buttonholes and corsages to venue florals; pedestals, pew ends, centrepieces and cake decorations...we can provide a full design service and we would just love to be a little part of your big day! 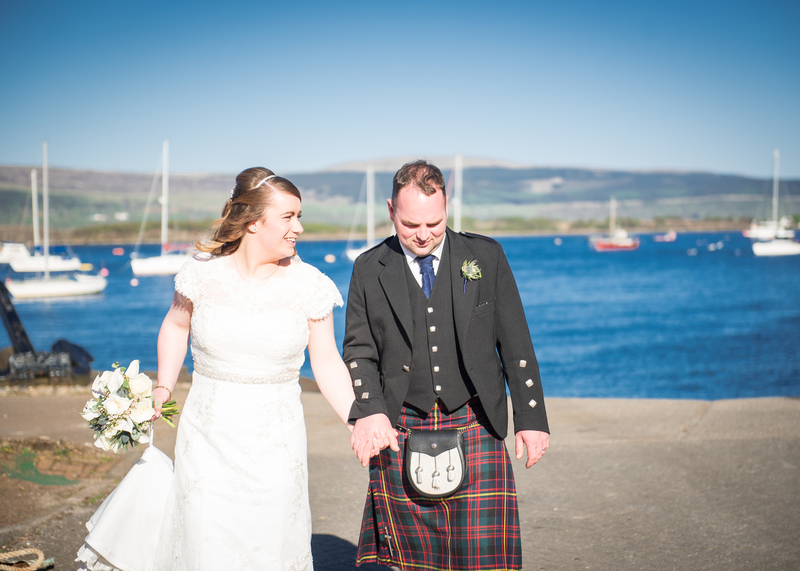 Although we are based in the beautiful town of Oban, we are able to travel further afield throughout Argyll. 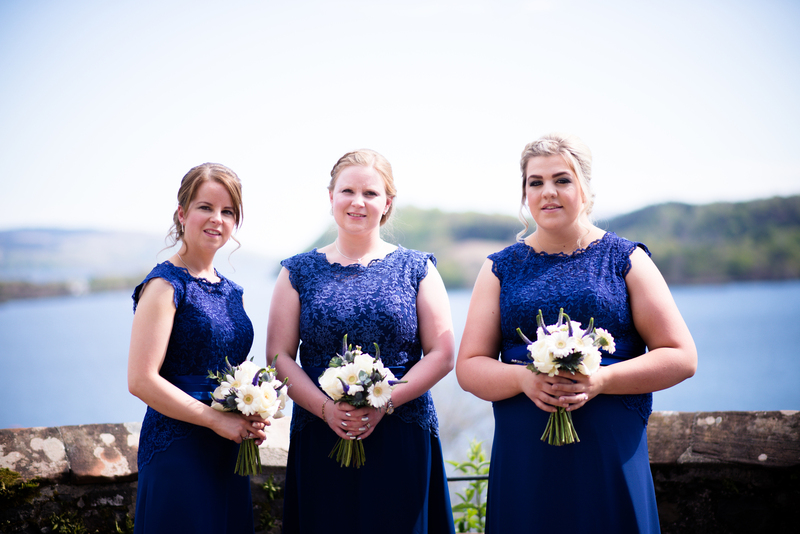 For example, we have had bookings taking us to the beautiful Ardtornish Estate in Morvern, down to Lunga House, near Lochgilphead and as far as Stonefield Castle, Tarbert. 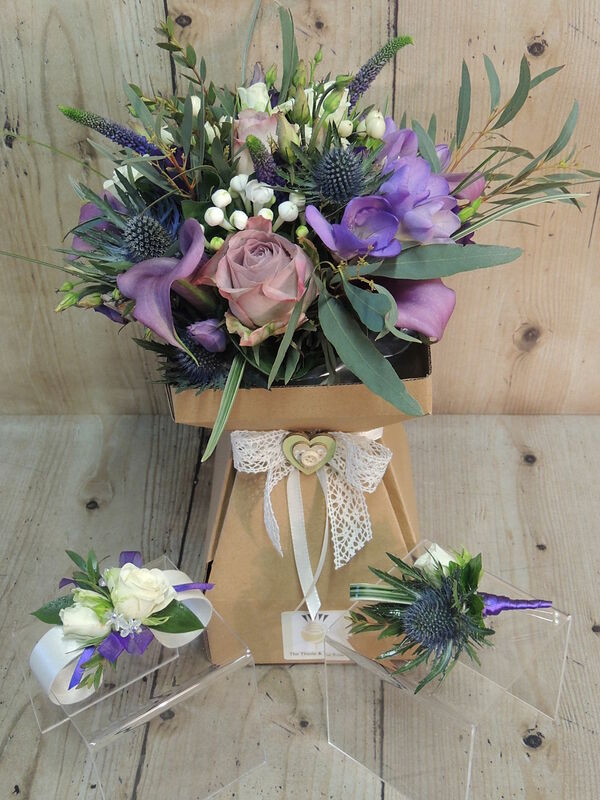 We have also arranged delivery of wedding flowers to the Islands of Mull, Iona, Barra and Tiree. 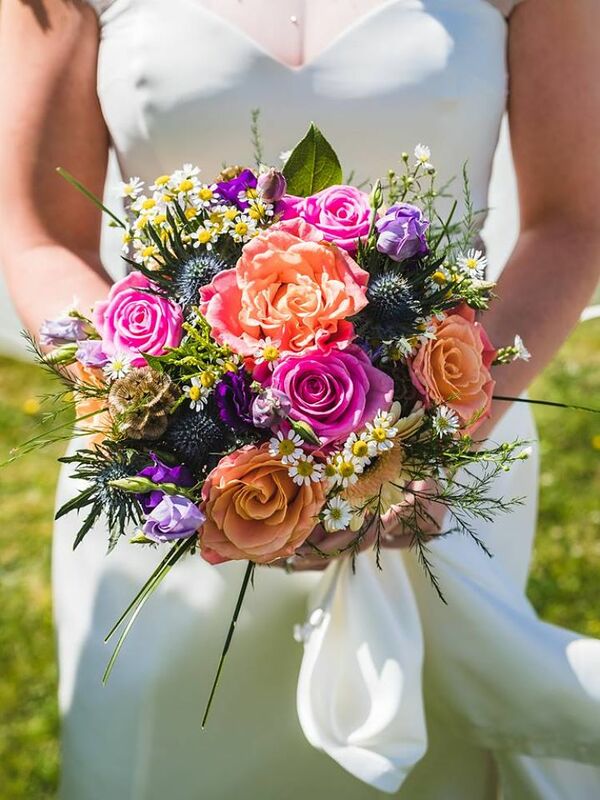 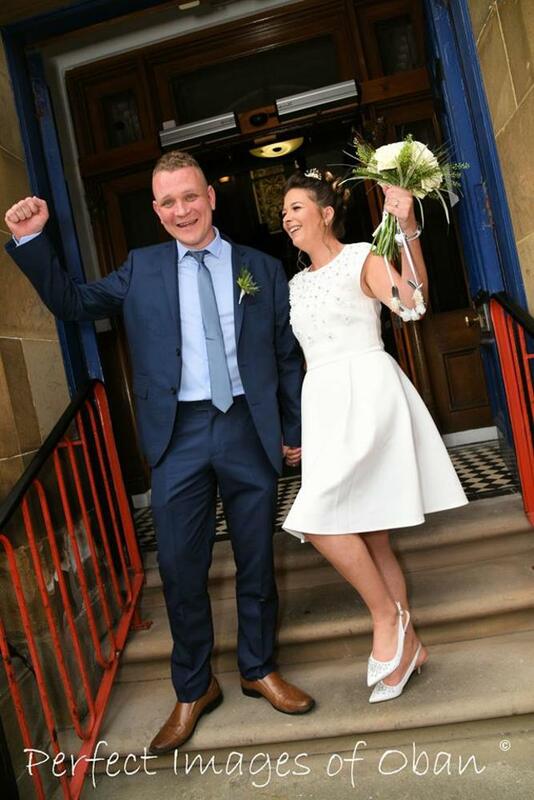 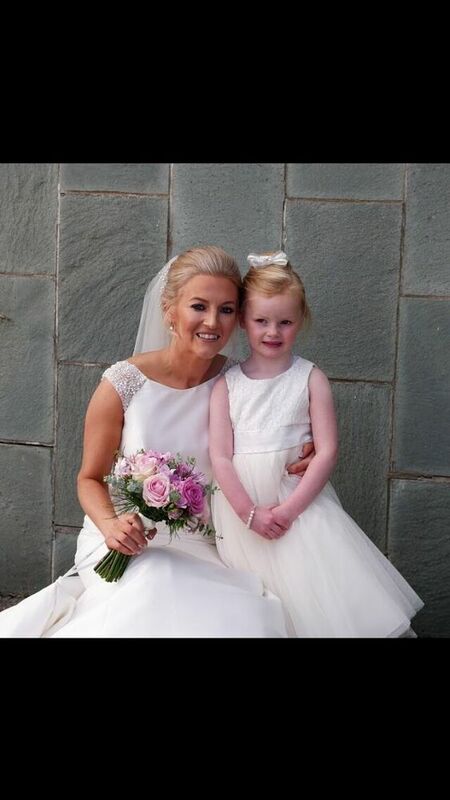 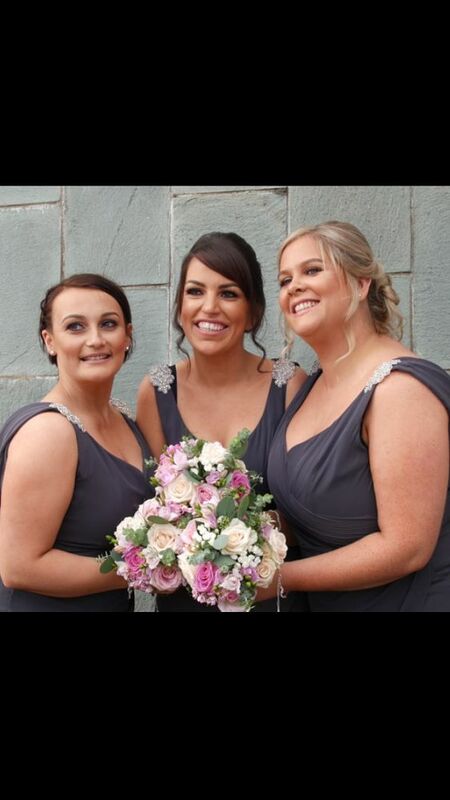 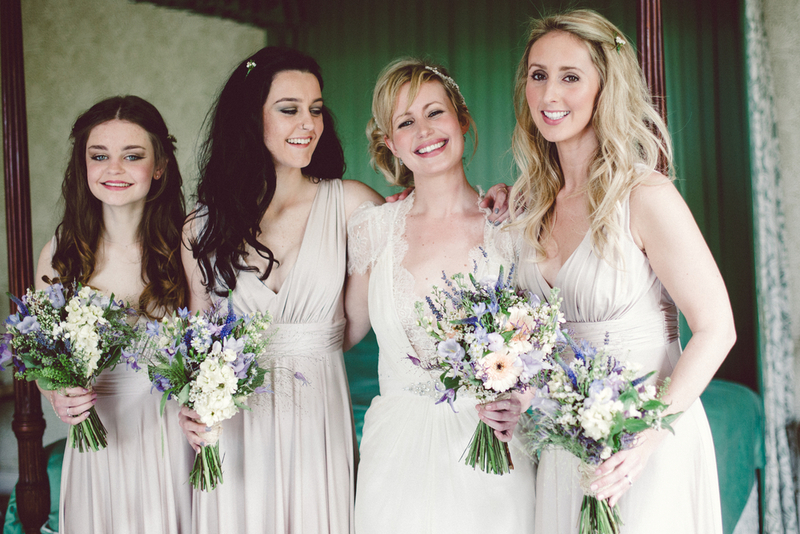 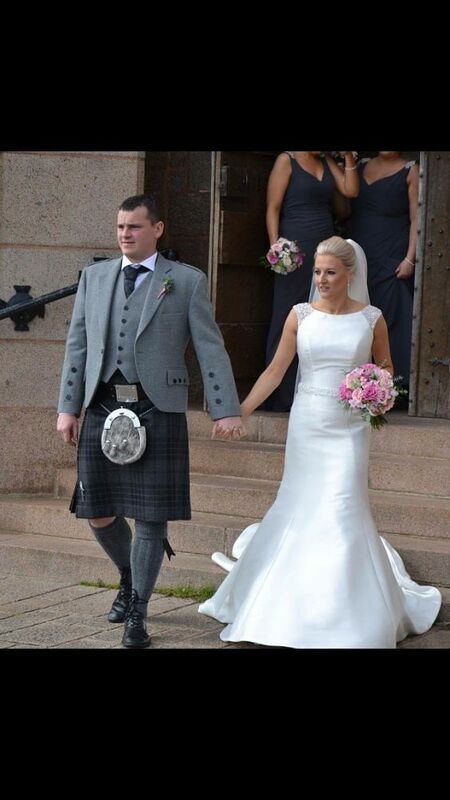 For initial enquiries please call Justine on 01631 564219 and firstly we'll check that your wedding date is free. 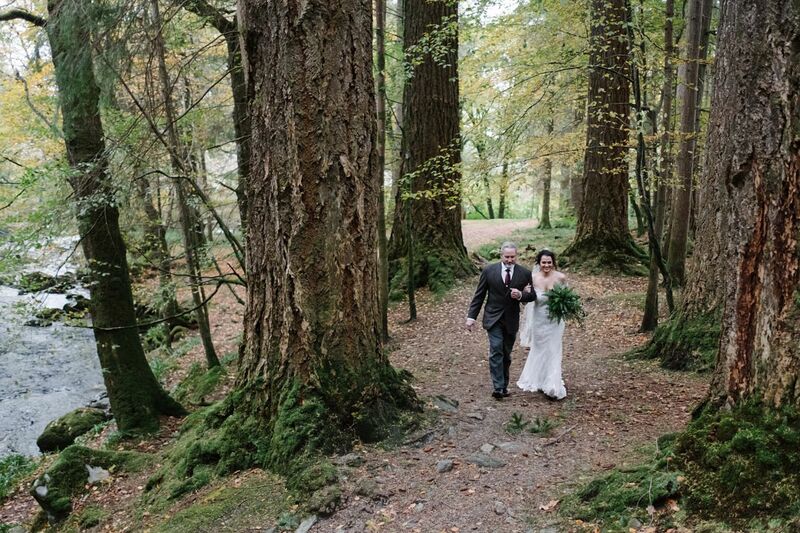 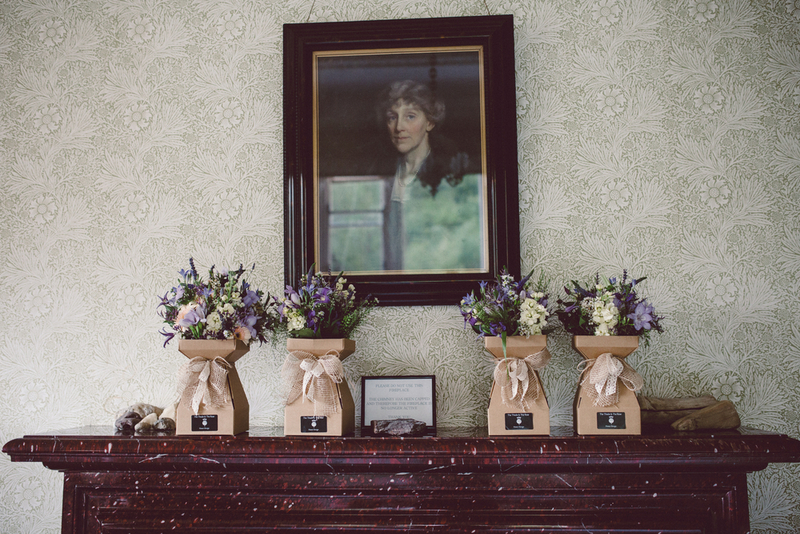 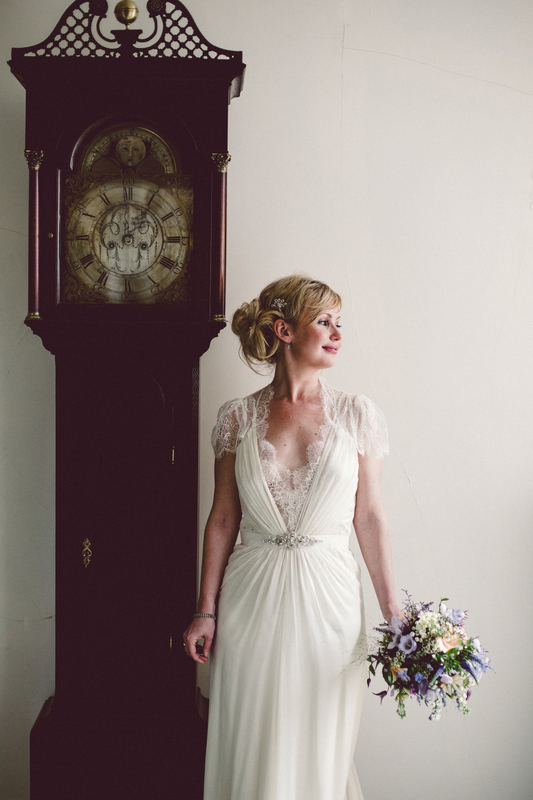 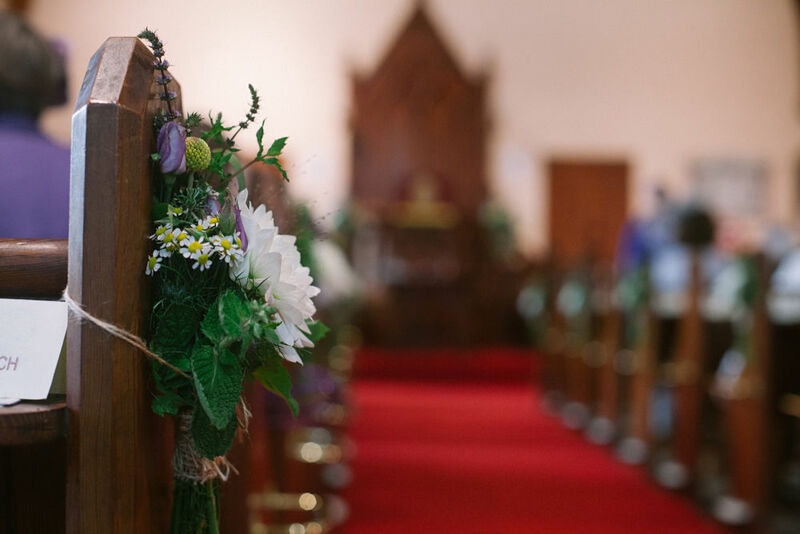 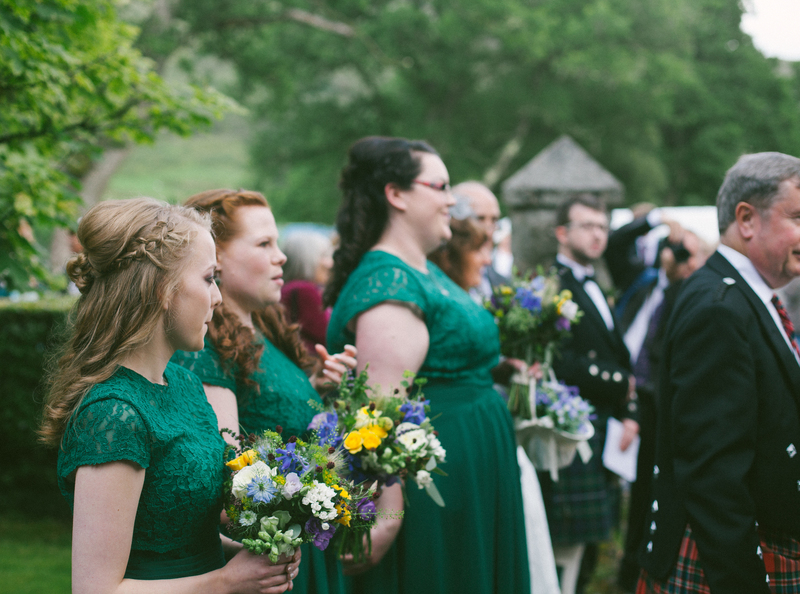 (We generally only take one wedding per day, so it's good to book in as soon as possible.) 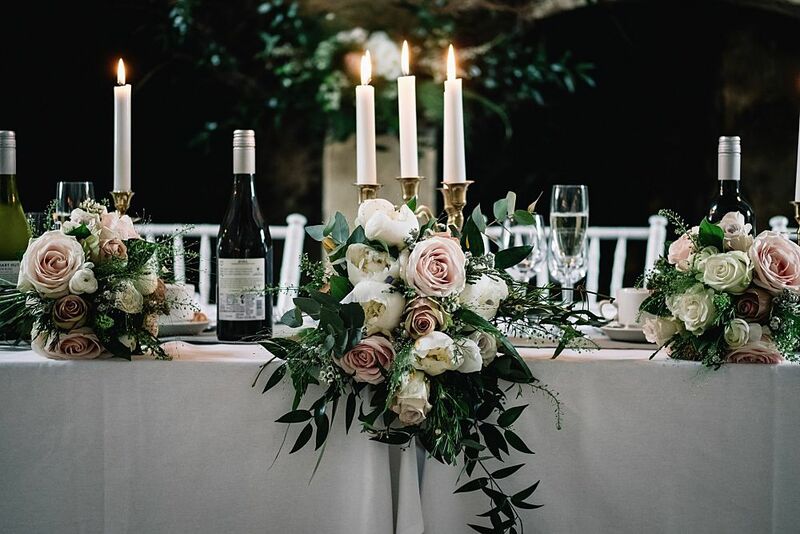 If it is available, we can then make arrangements to discuss all of your ideas in more detail, get to know your style and personality and get the planning process started. 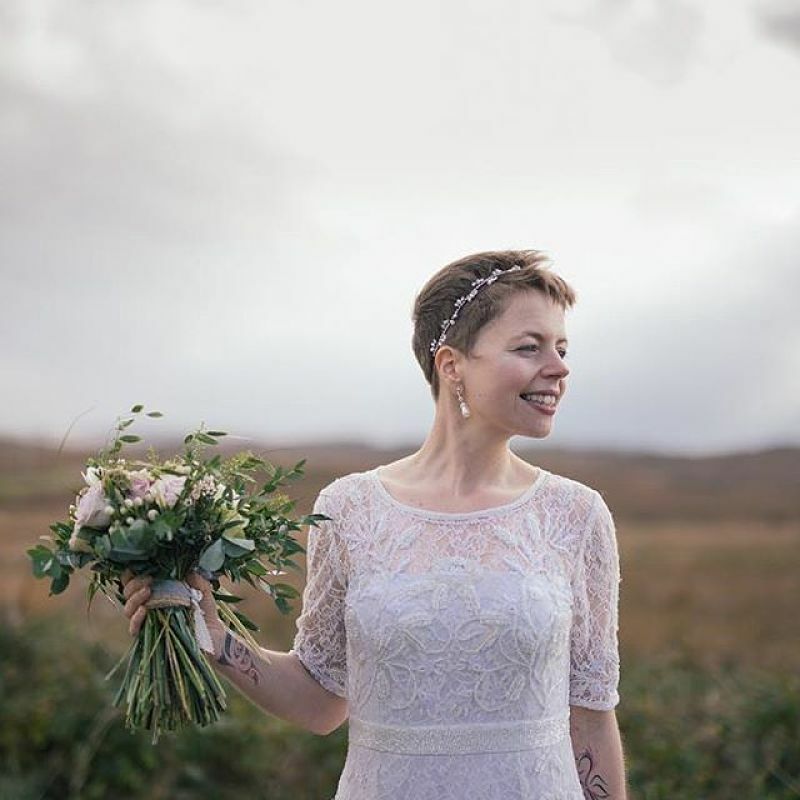 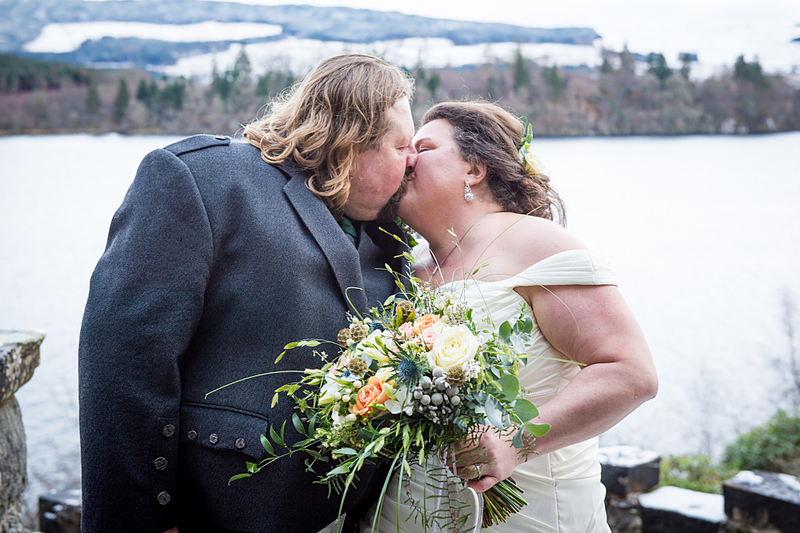 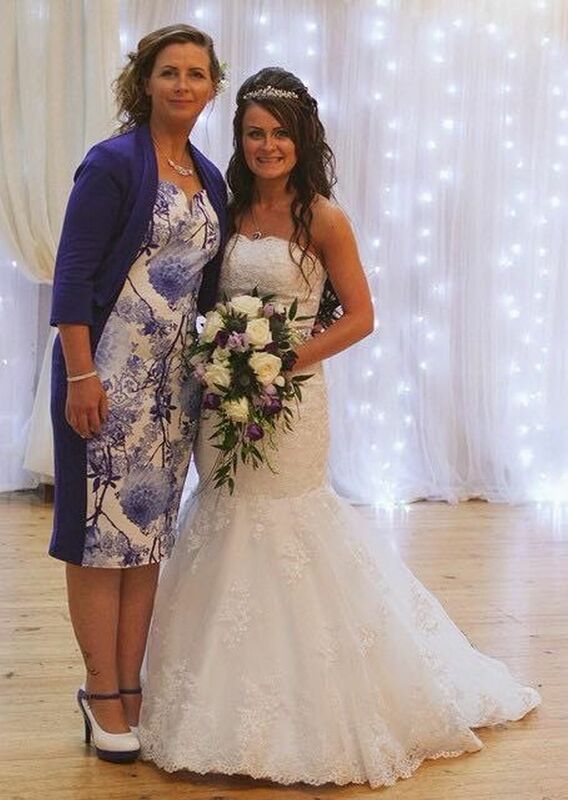 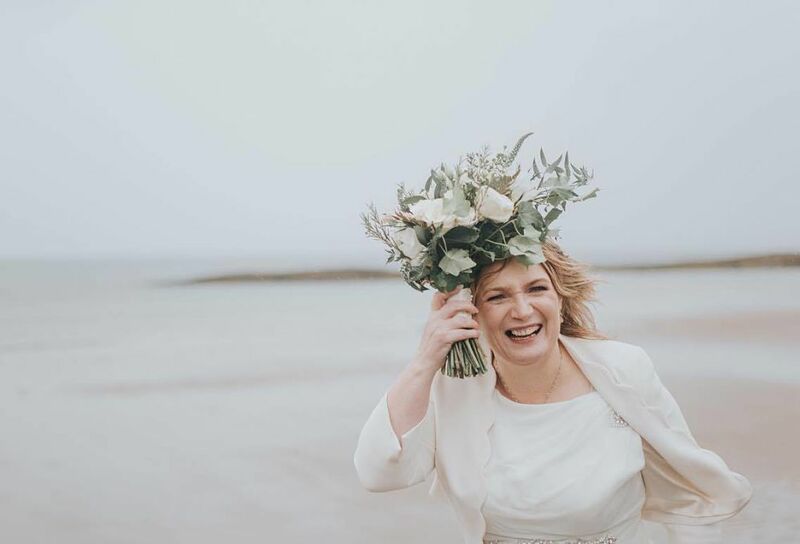 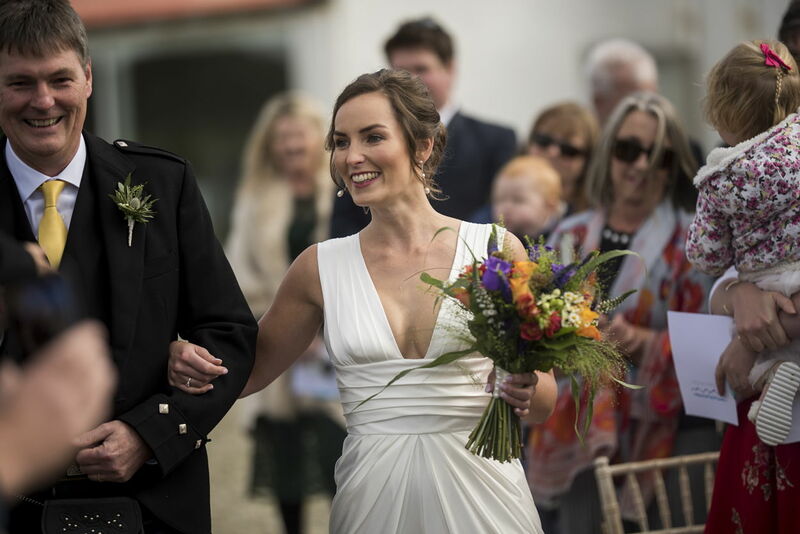 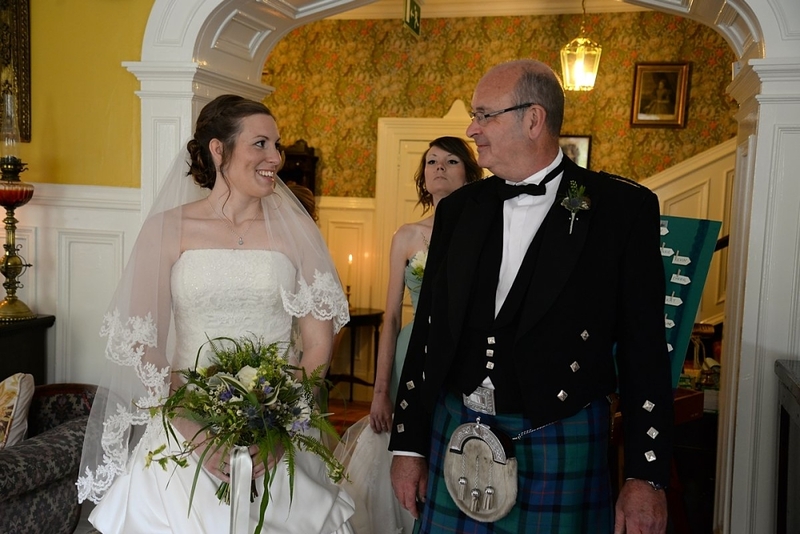 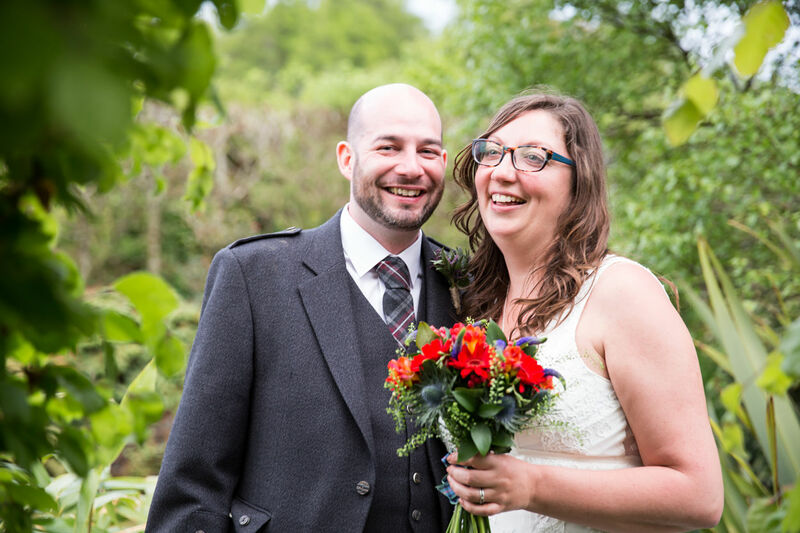 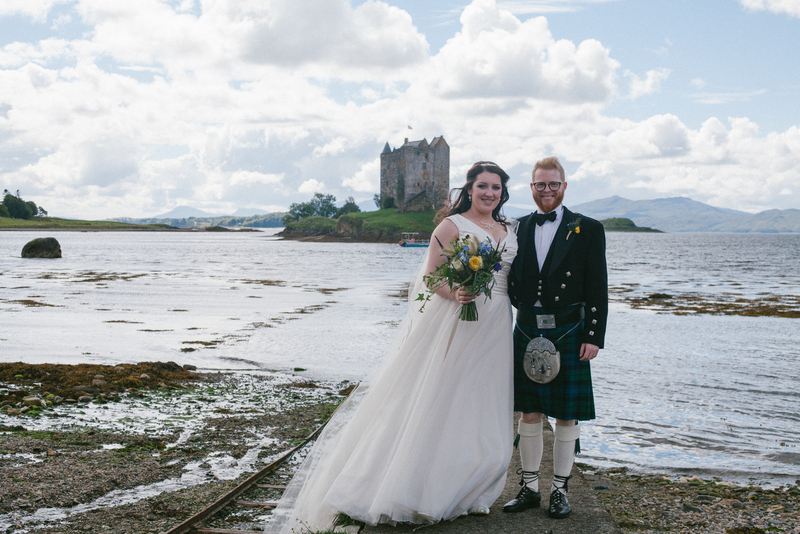 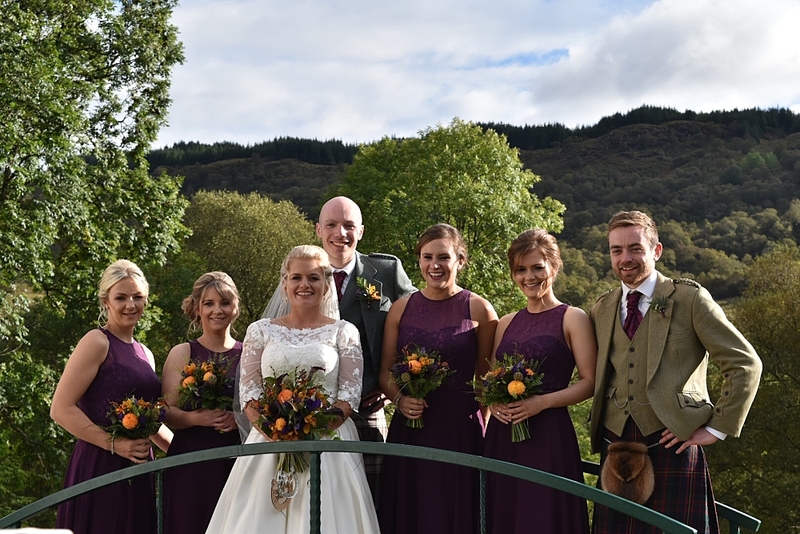 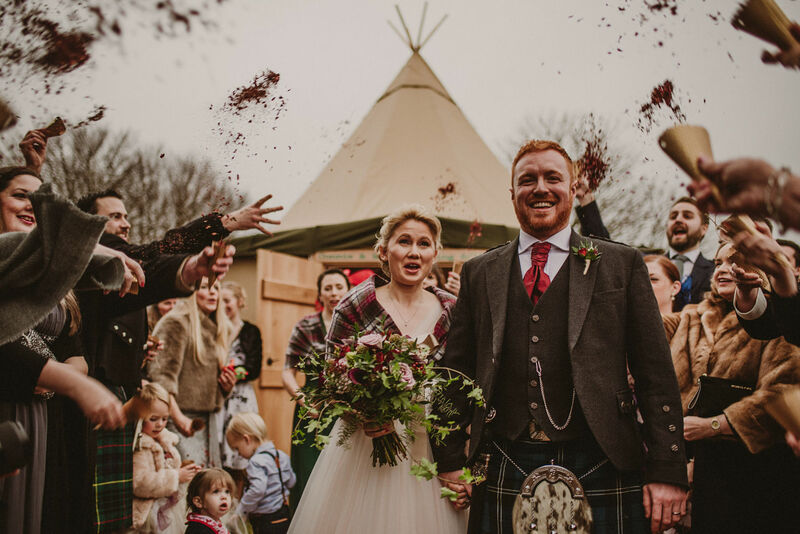 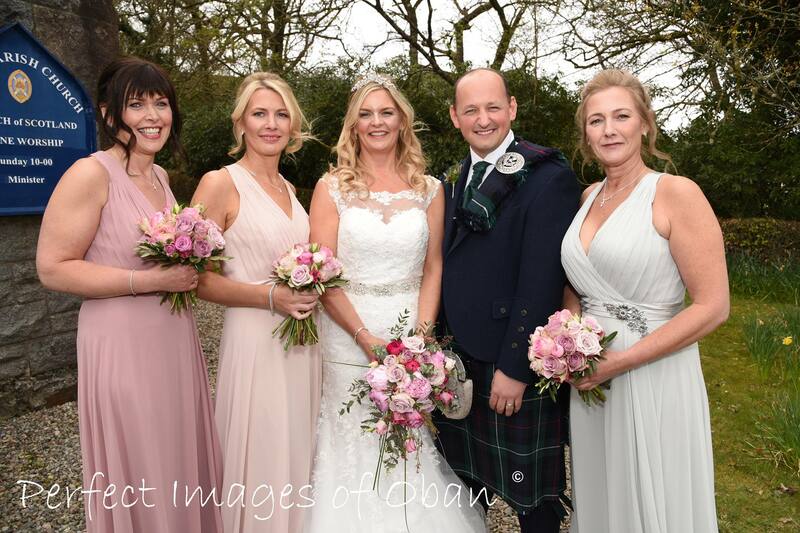 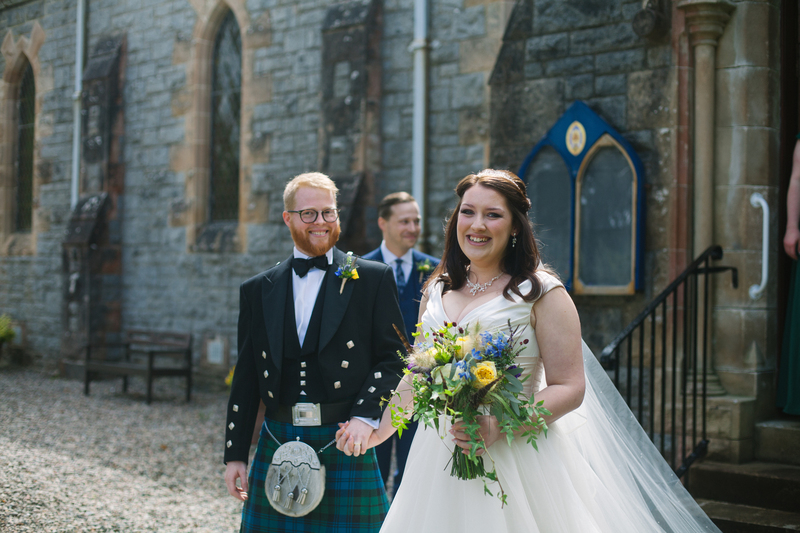 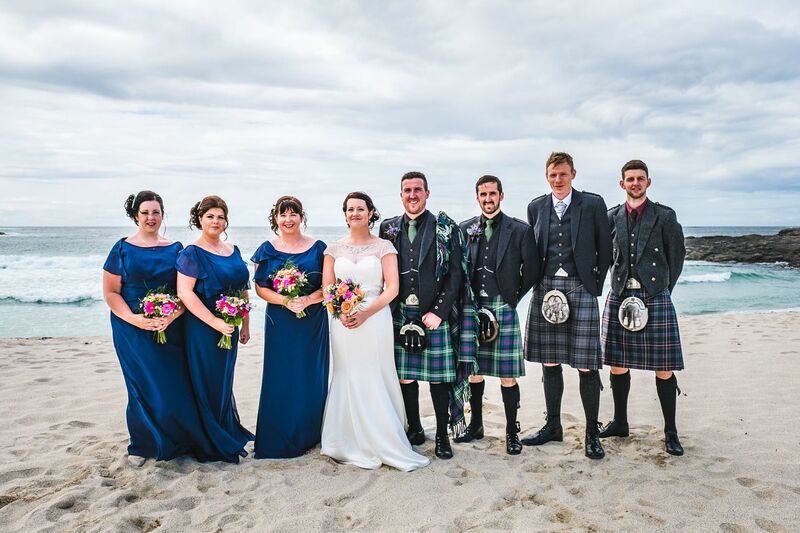 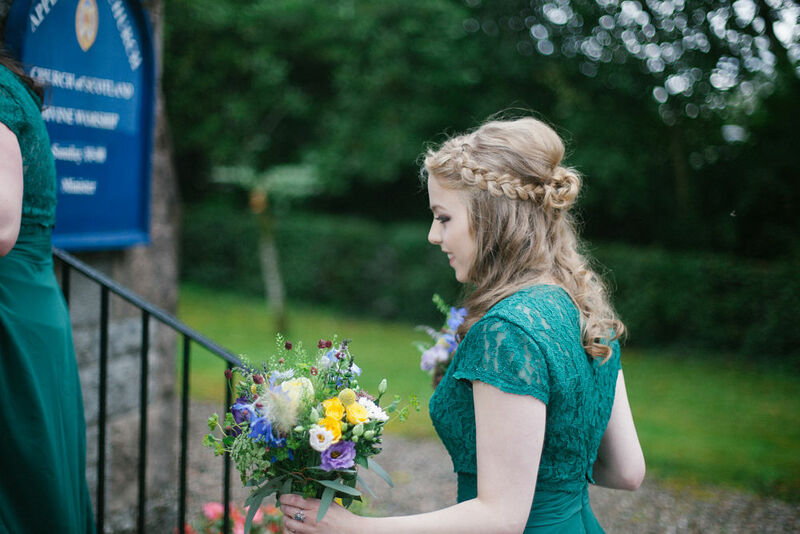 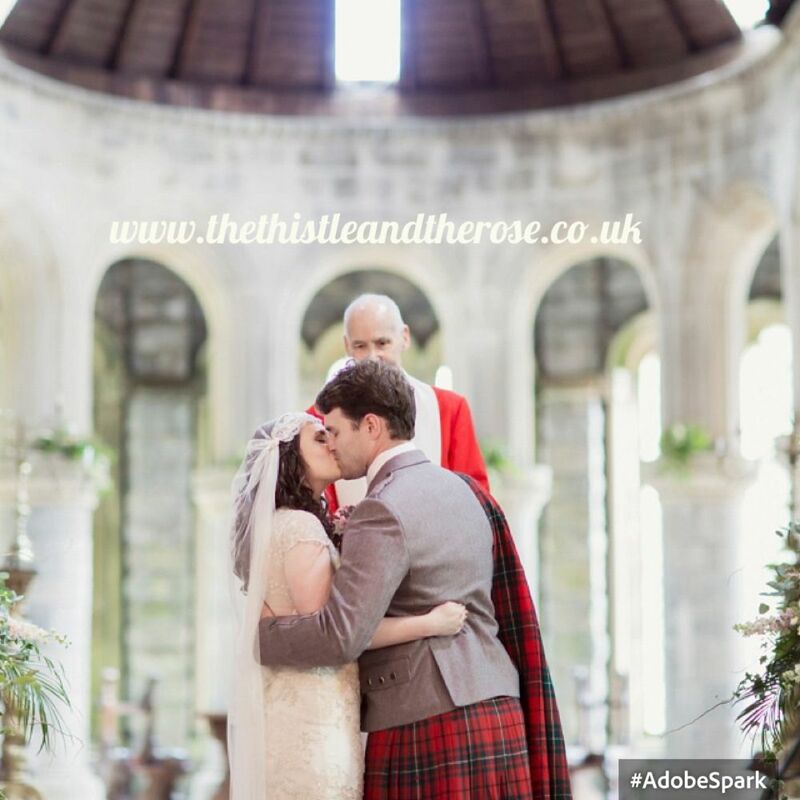 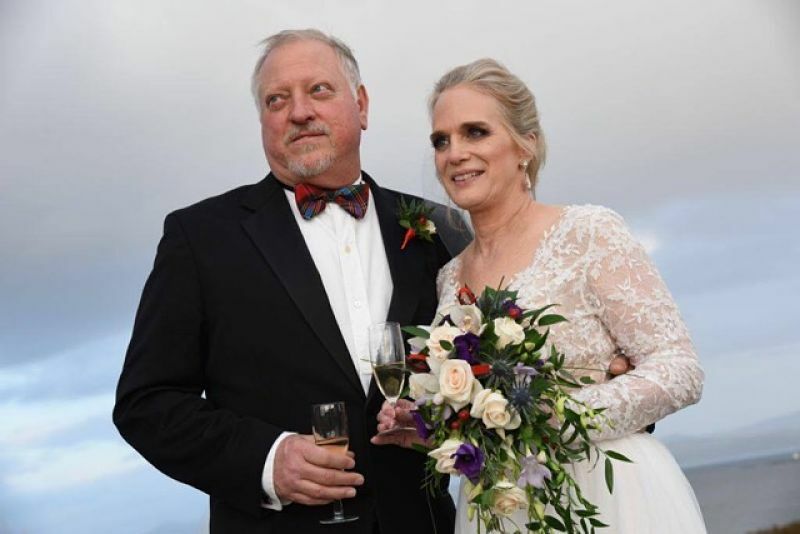 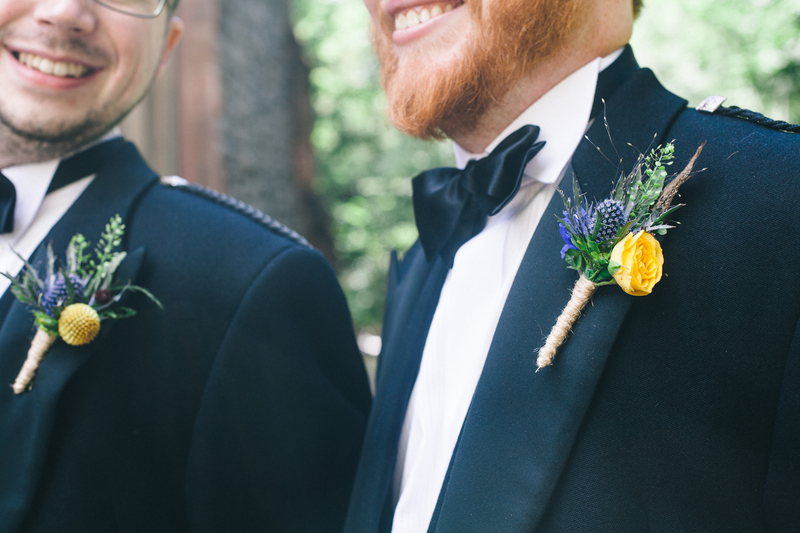 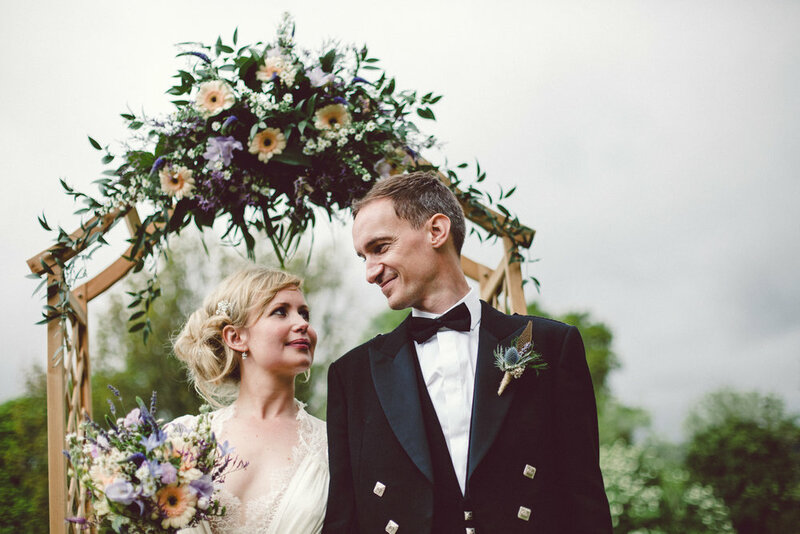 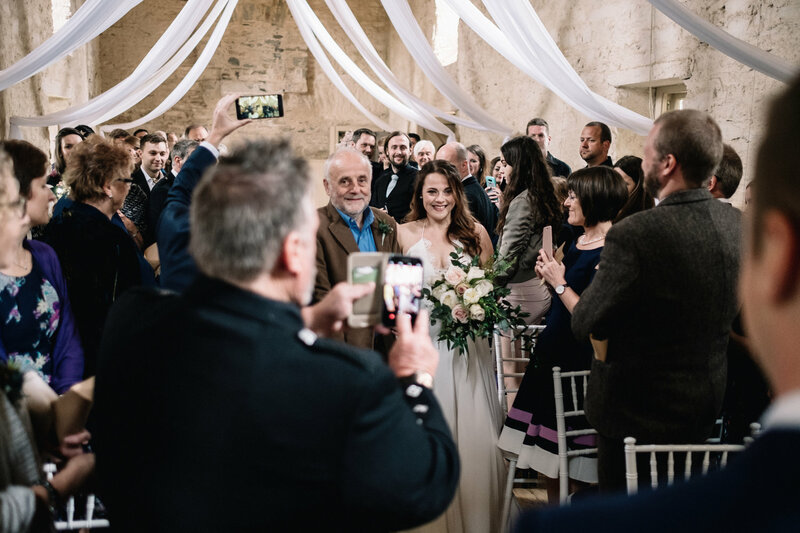 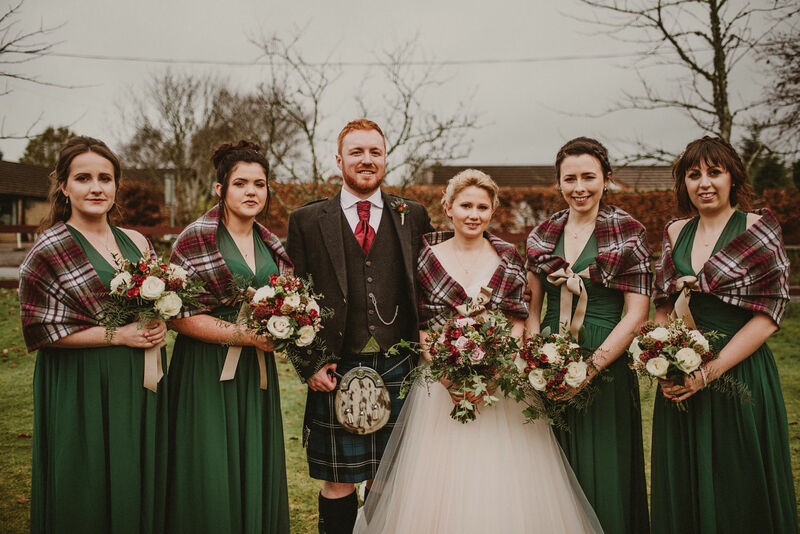 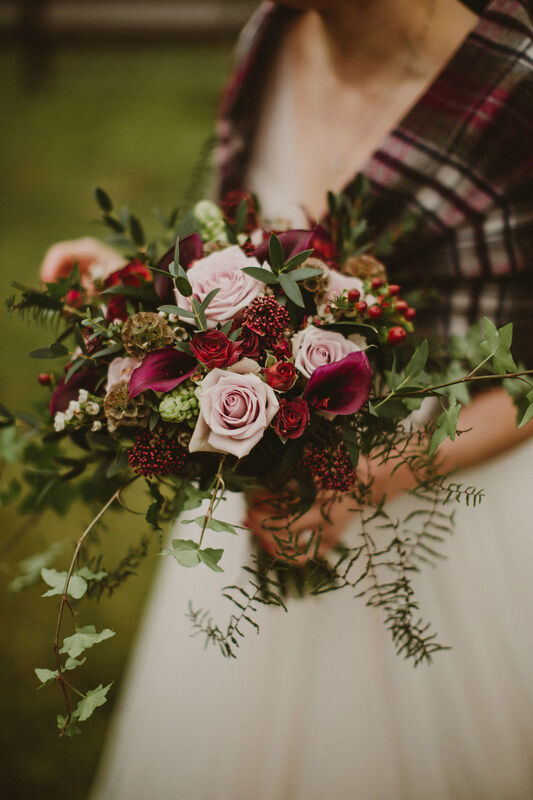 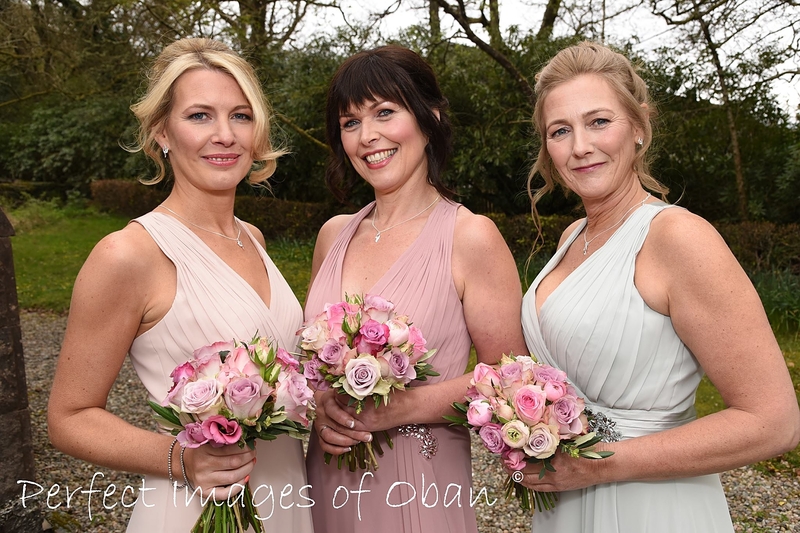 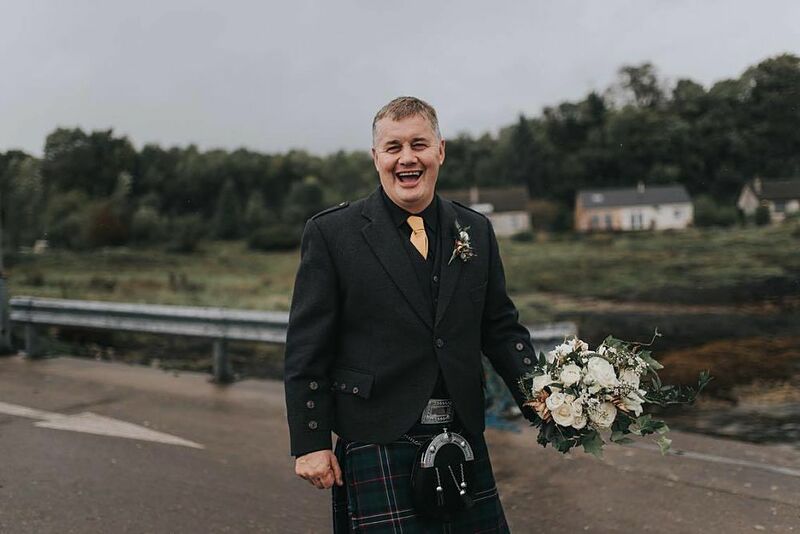 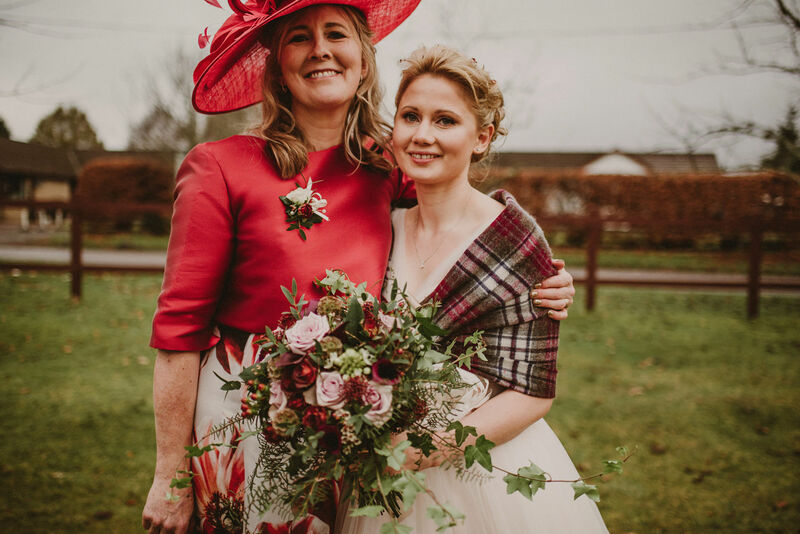 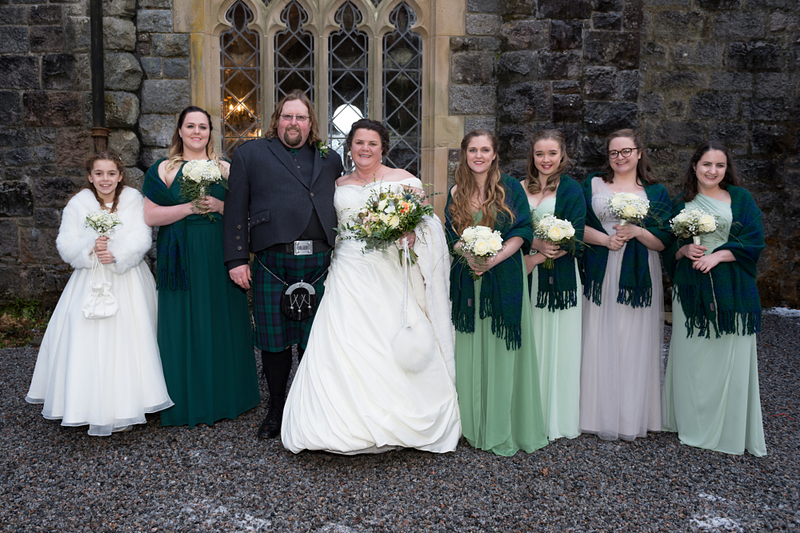 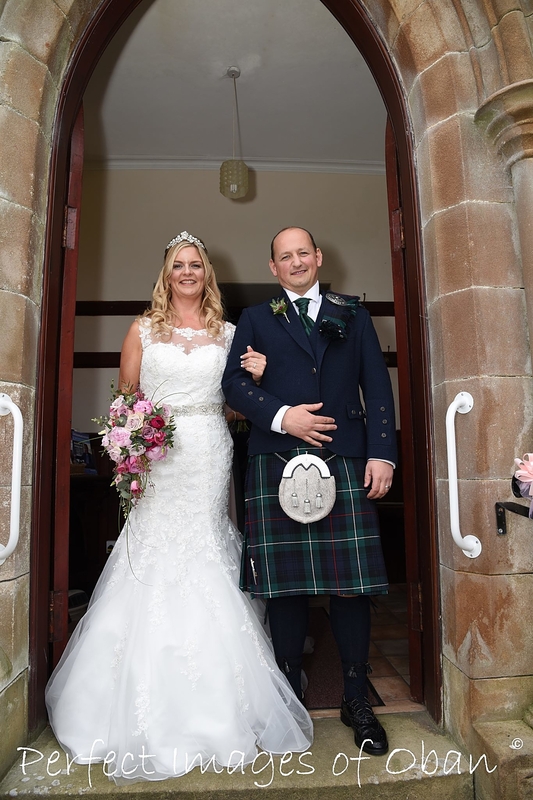 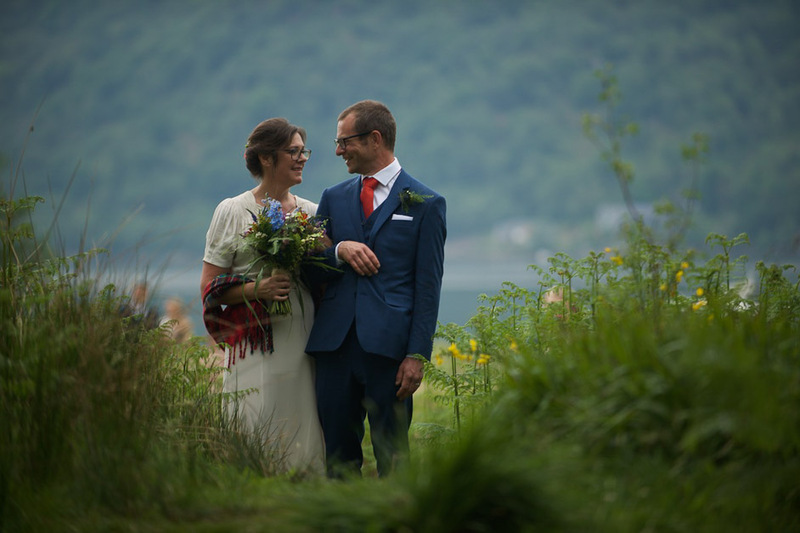 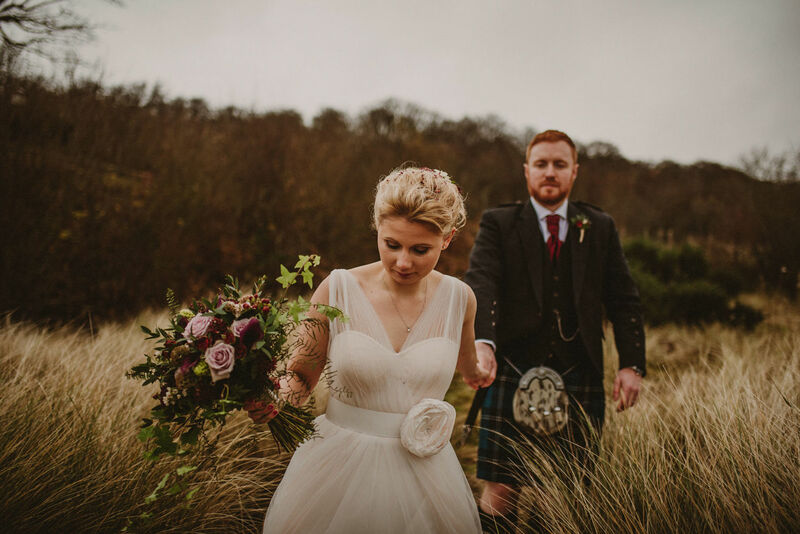 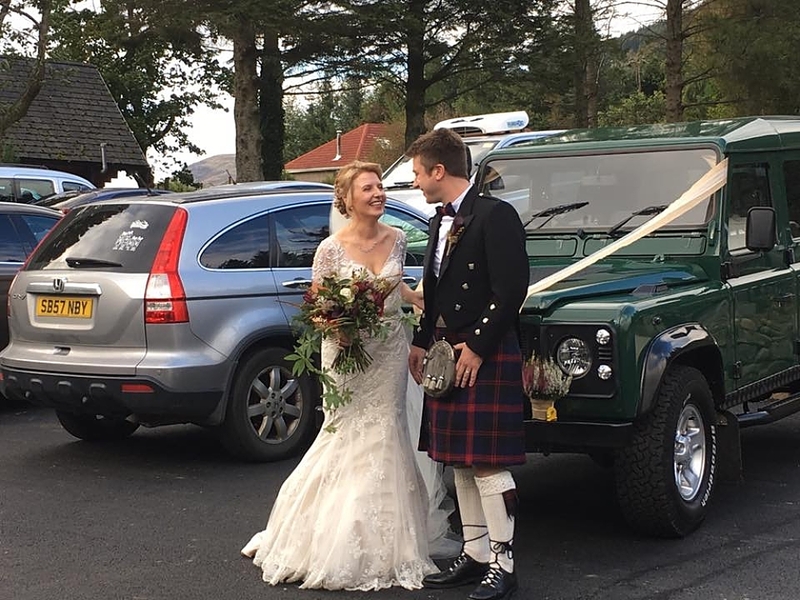 We are more than happy to meet at our Oban workshop at a time to suit you or alternatively we can also arrange to meet you at your Wedding or Reception venue if that is preferable. 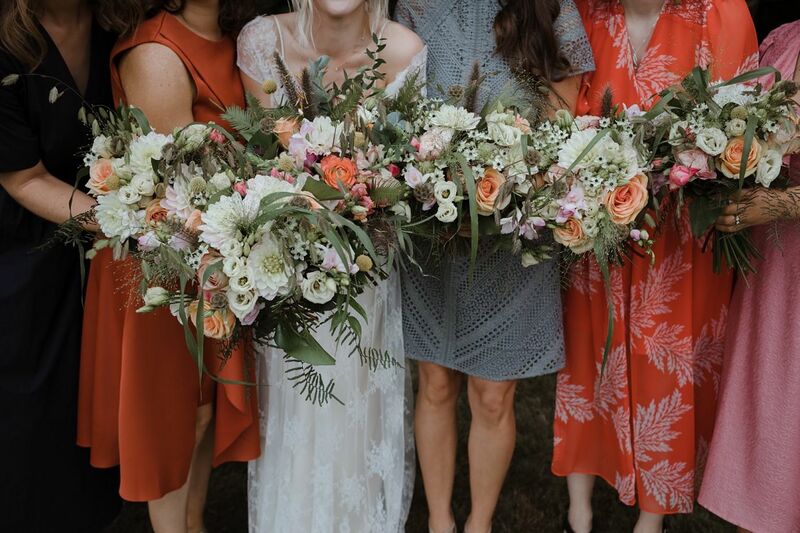 References such as pinterest images, magazine pics and any colour swatches are a great starting point so feel free to bring as many as you like along. 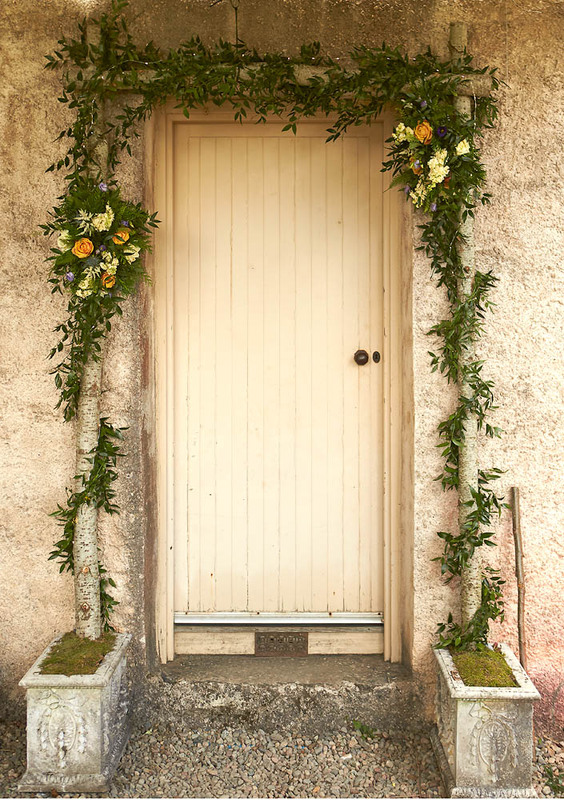 We can also share a pinterest board which is great for bouncing ideas too. 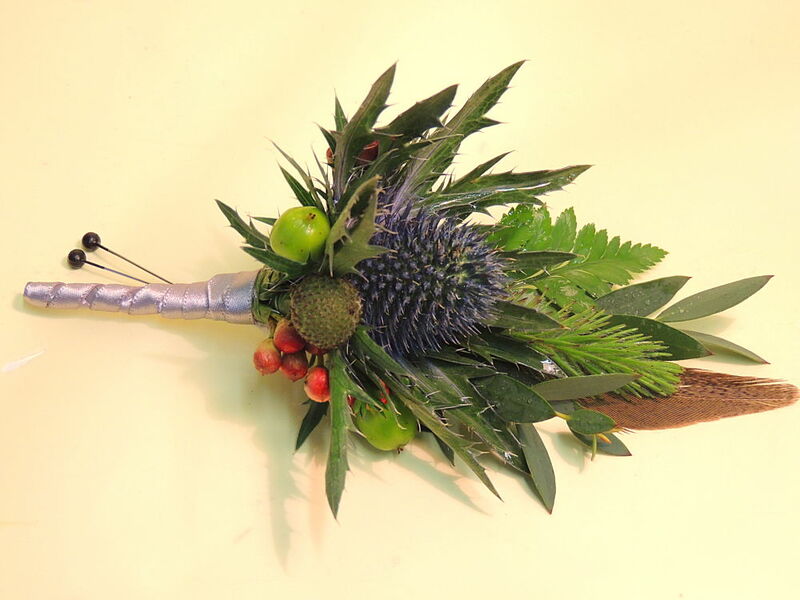 After our consultation, we will provide a fully detailed quotation. 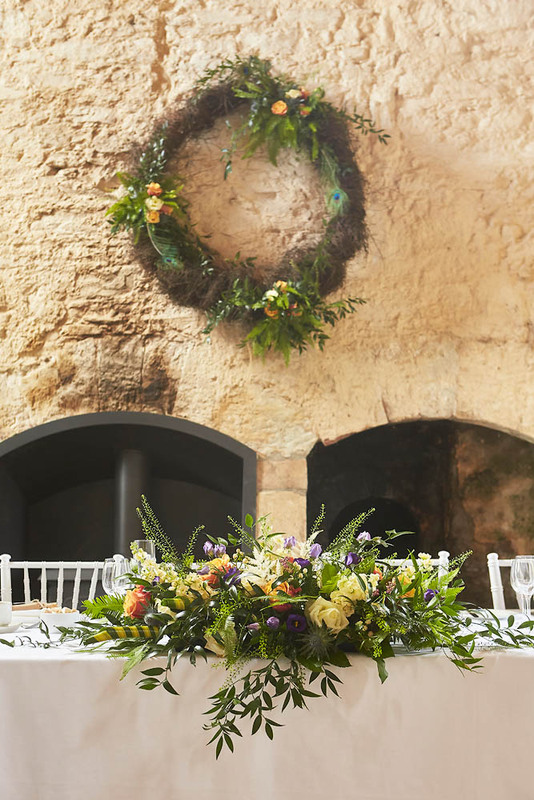 On approval of the quotation we will then require a £100 non-refundable deposit to secure your date, This will be deducted from your final bill. 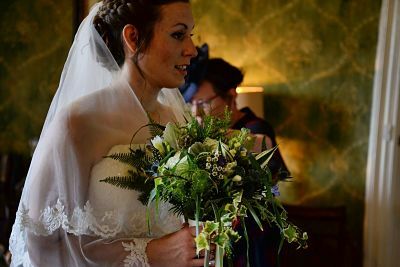 Before the wedding we will have another consultation to finalise the details and we will then send you a fully detailed invoice. 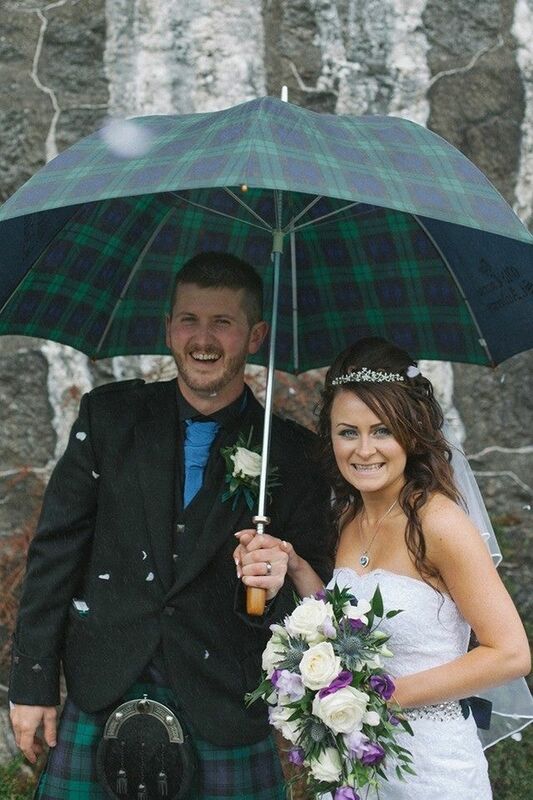 We ask that this invoice is paid no later than 2 weeks prior to your wedding date. 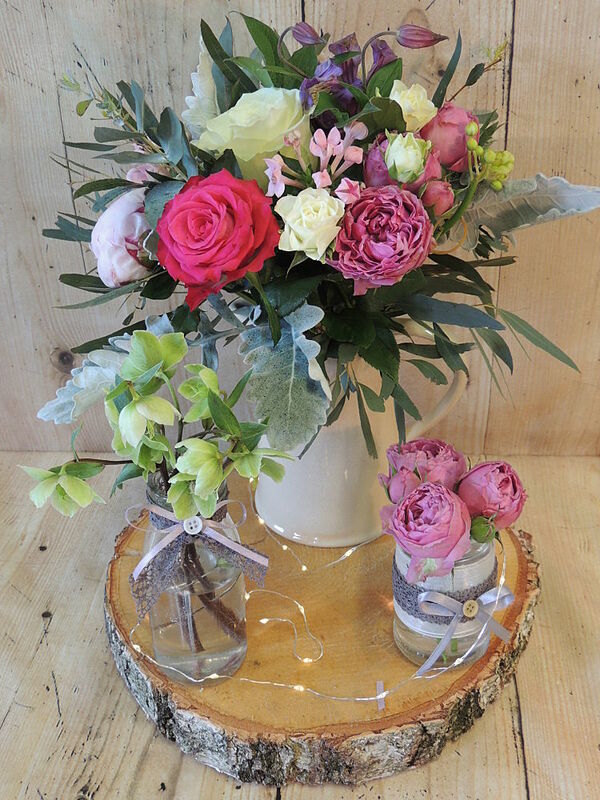 We can accept payment by bank transfer, debit/credit card or paypal. 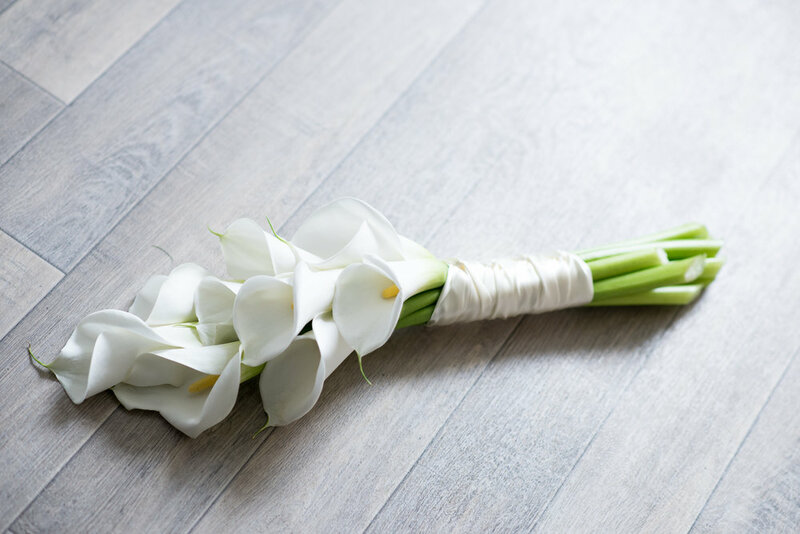 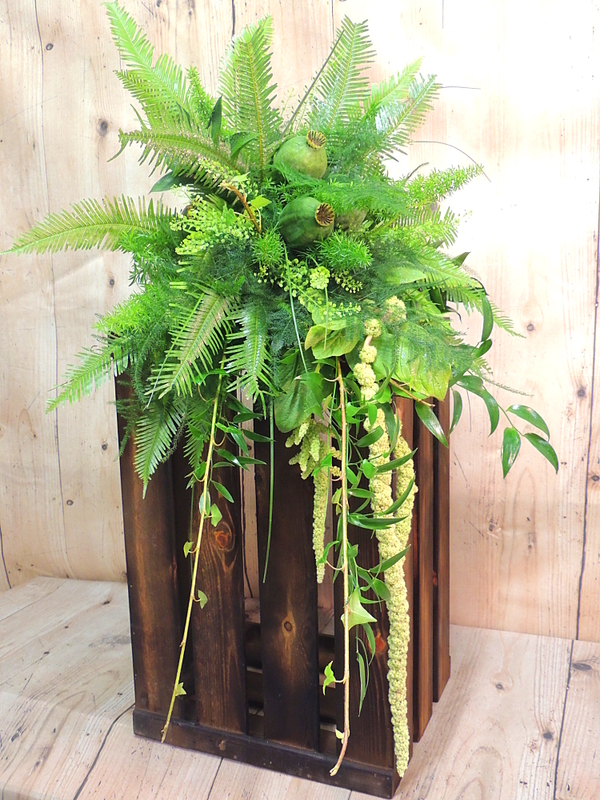 On your Wedding day, we will deliver all of your Bridal flowers at a pre-agreed time. 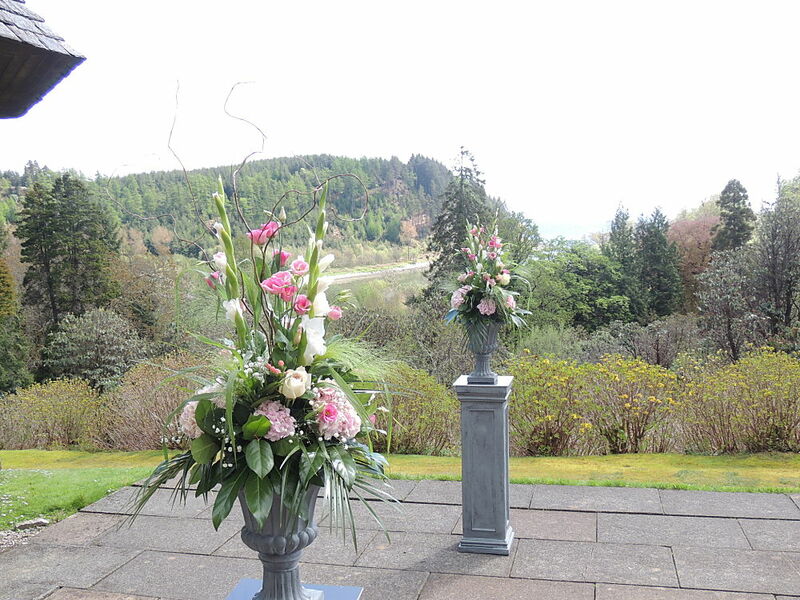 Any ceremony and venue flowers will be set up on the day. 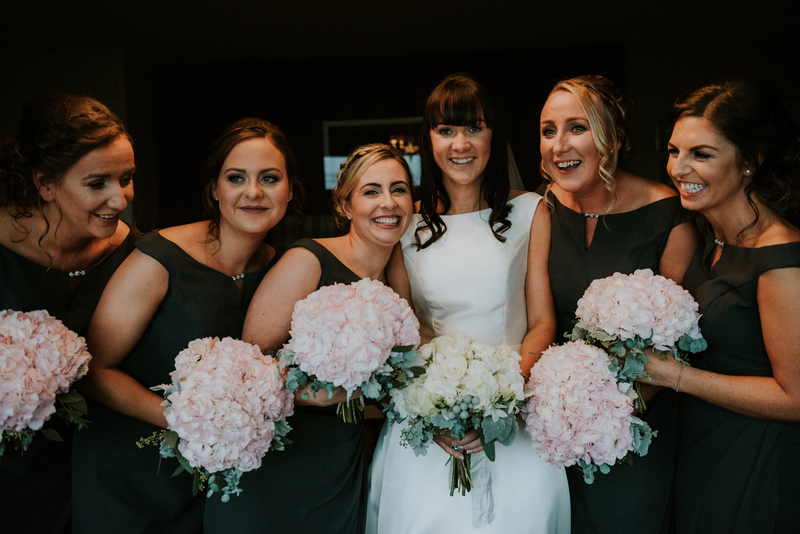 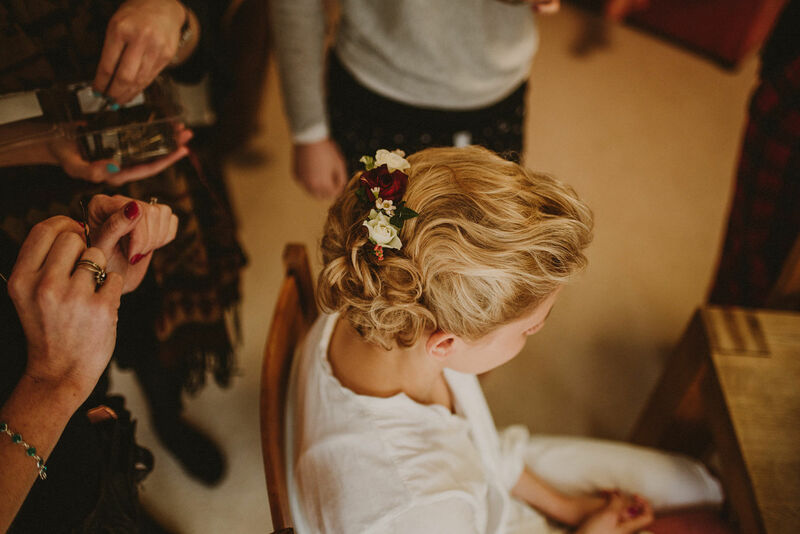 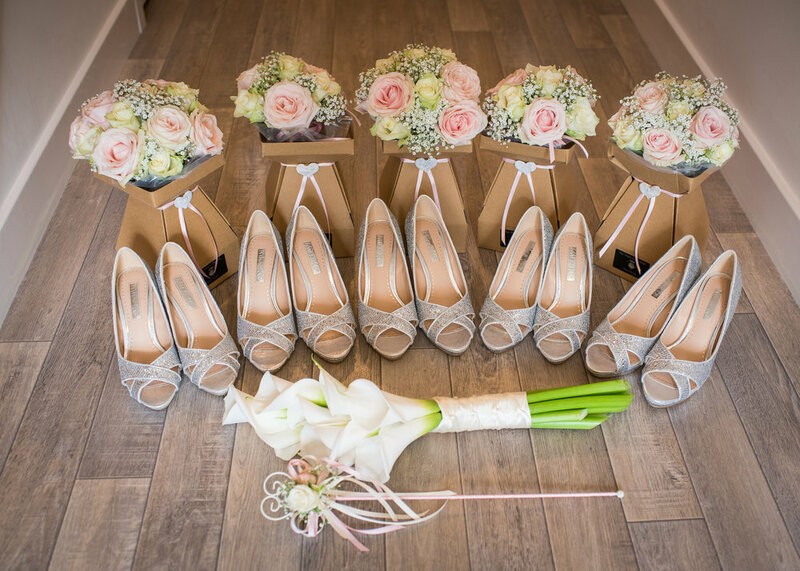 We really do understand how important every detail of your wedding day is and you can be assured of a high quality, professional bespoke service at all times. 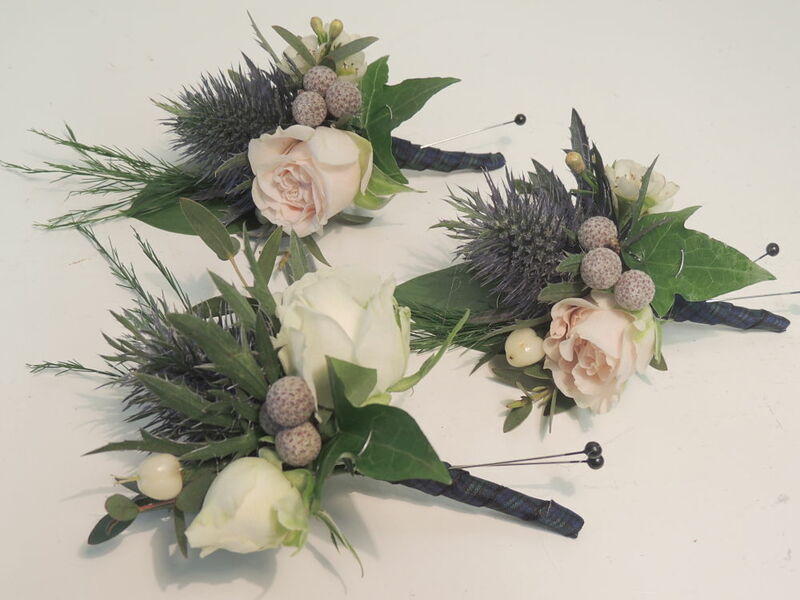 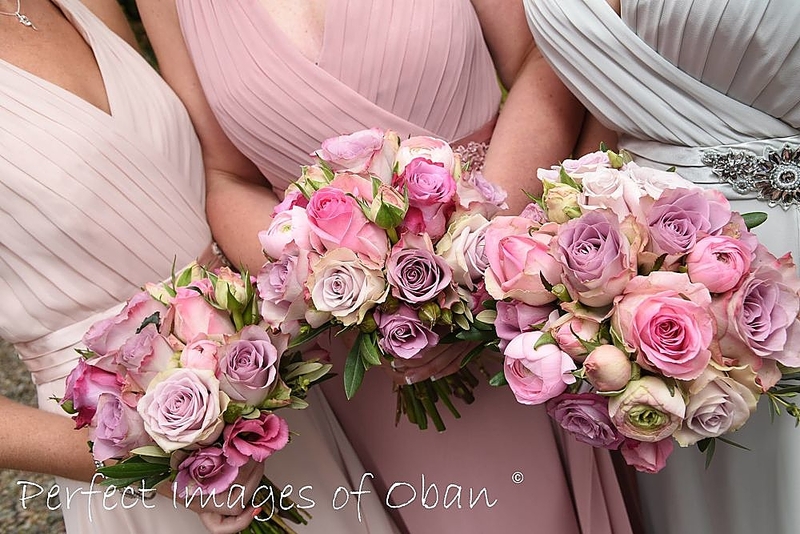 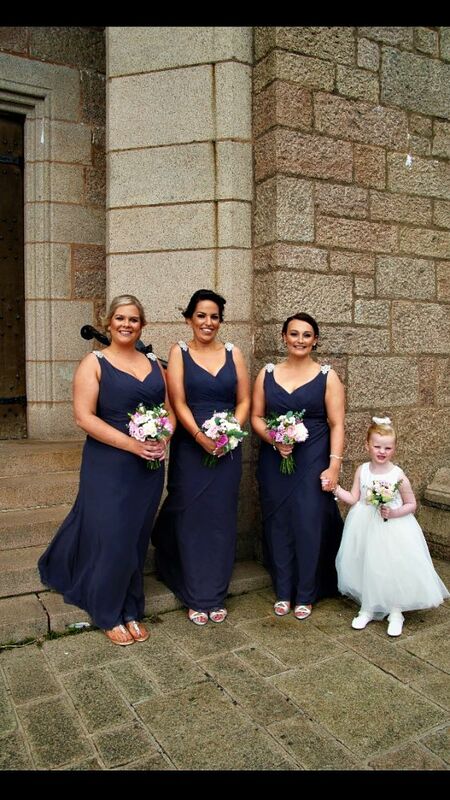 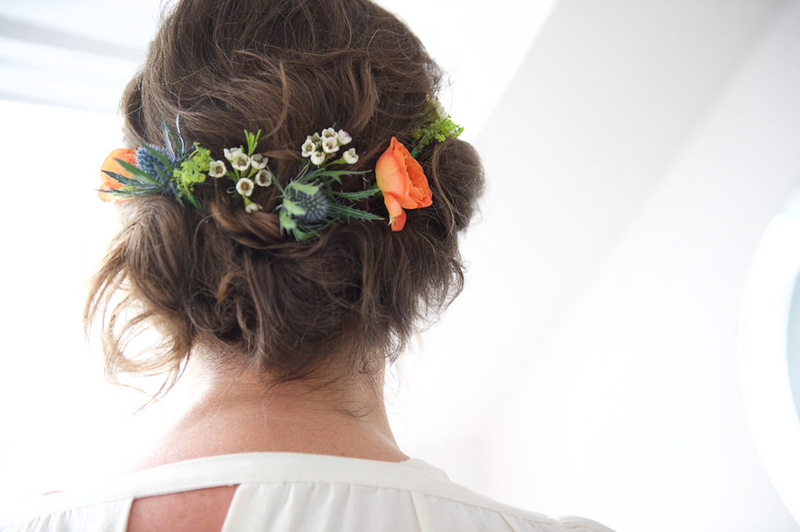 To order Corsages, Handbag sprays, Wrist Corsages, Buttonholes, or hair flowers to compliment your outfit please call or pop in to order and we can arrange for delivery to your Hotel/Home on the day of the wedding or collection from our Oban Workshop on the day of the Wedding. 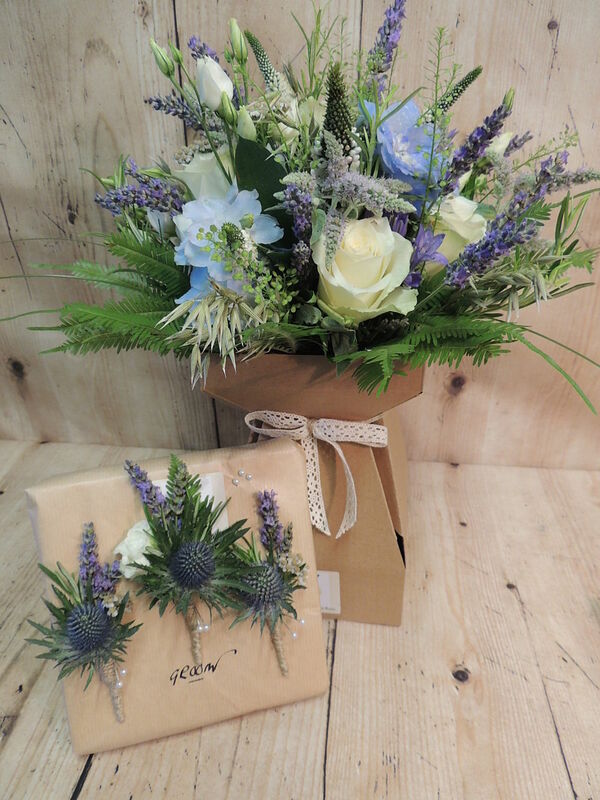 Ladies, if you would like to drop your Handbag/Clutch into the Workshop prior to the event we can create a design to compliment the colour/stlye perfectly. 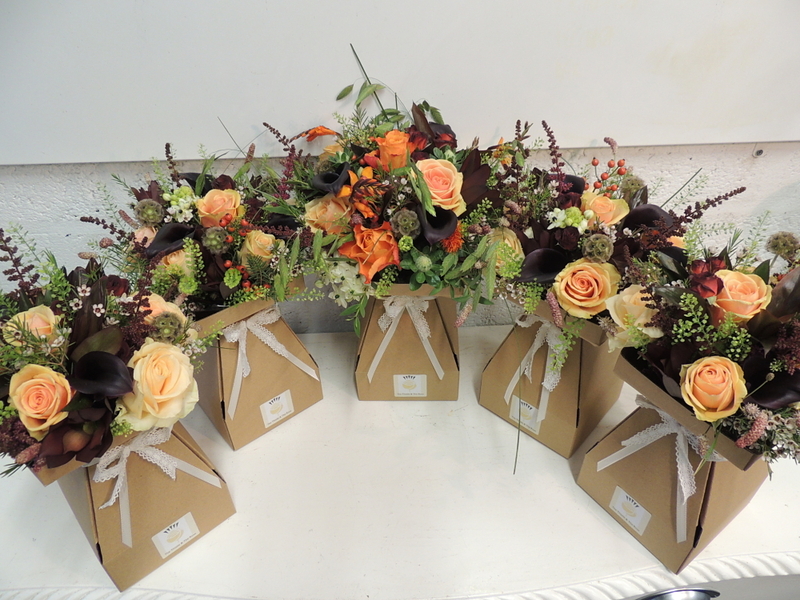 Below are some recent examples of our wedding flowers, there's even more in the Gallery link at the top of the page. 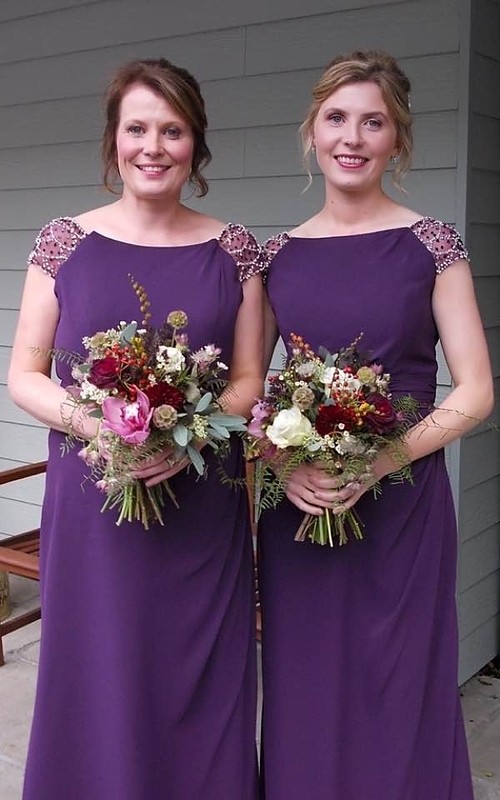 Click any image to open a larger version.